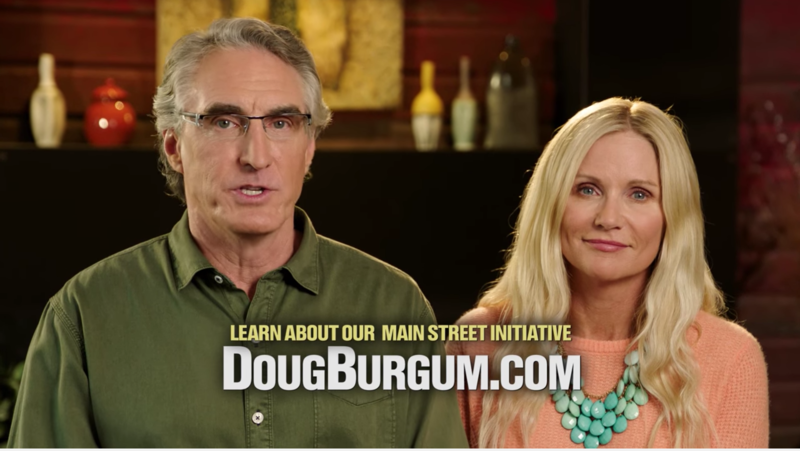 After a historic win on Tuesday, Doug and Kathryn would like to express their deep gratitude to everyone who made this possible. 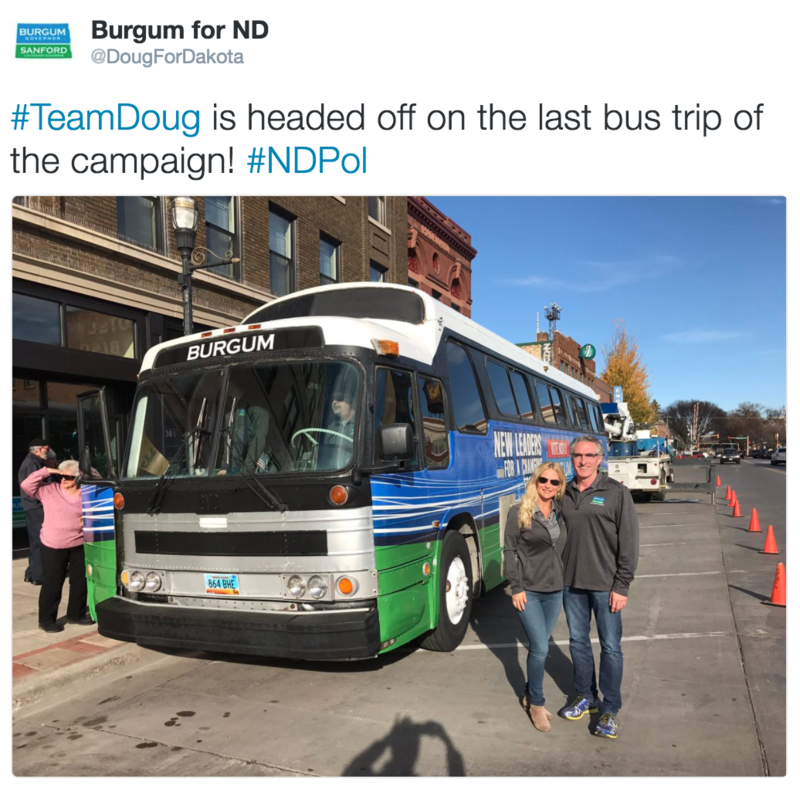 With less than 4 days away until Election Day, Team Doug is taking nothing for granted. 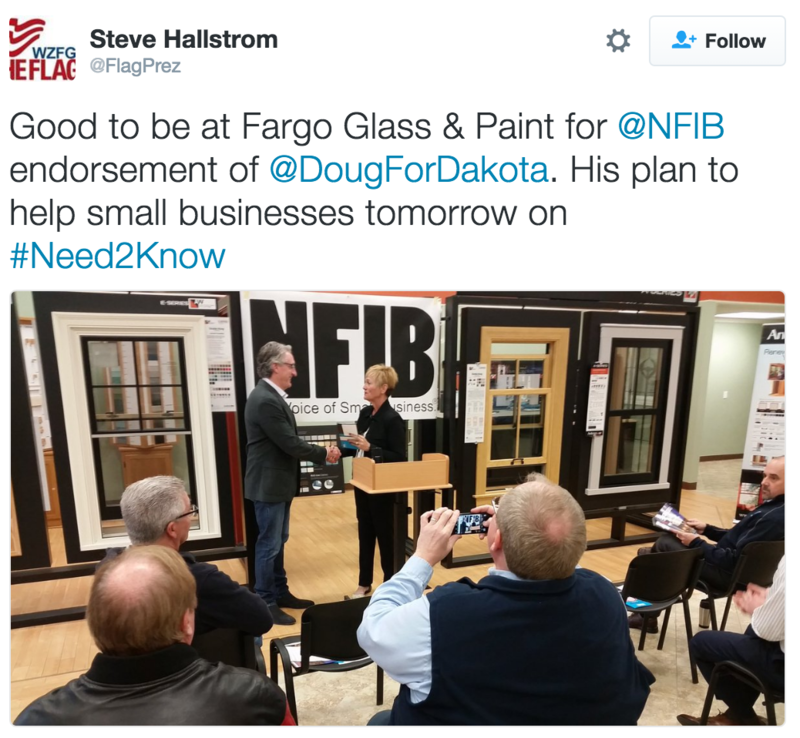 Earlier this week, we released our final ad, Doug held a rally in Grand Forks and met with voters in Jamestown. 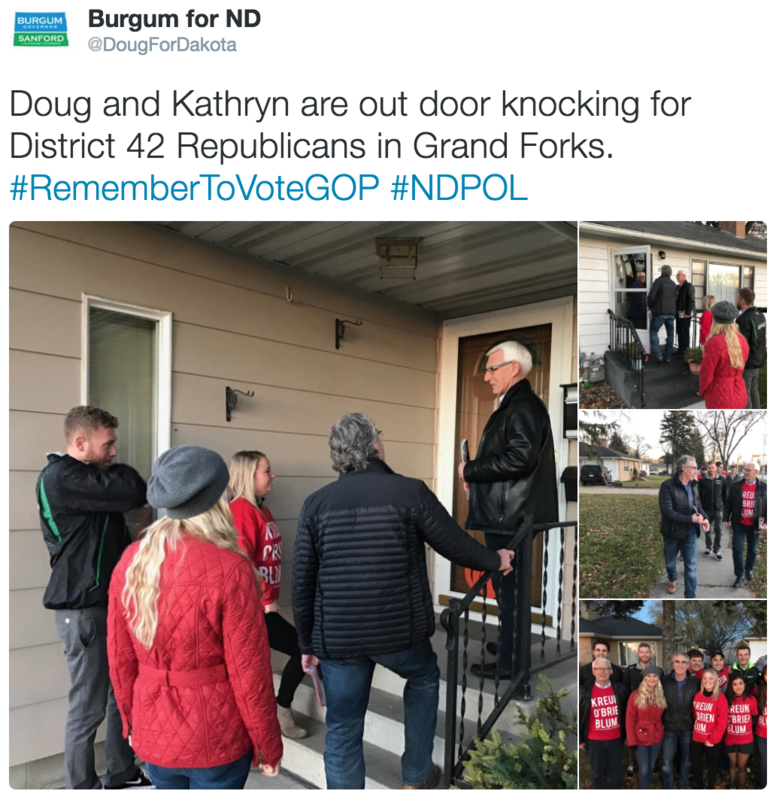 If you want to help with our GOTV efforts, contact Lucas Paper with the North Dakota GOP – lucas@ndgop.org – to get signed up. 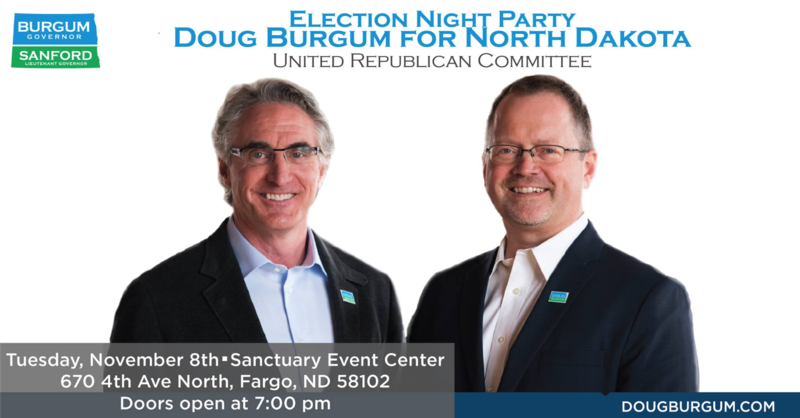 Finally, don’t forget you’re invited to our Election Night Party at the Sanctuary Events Center in Fargo and doors open at 7:00 PM. 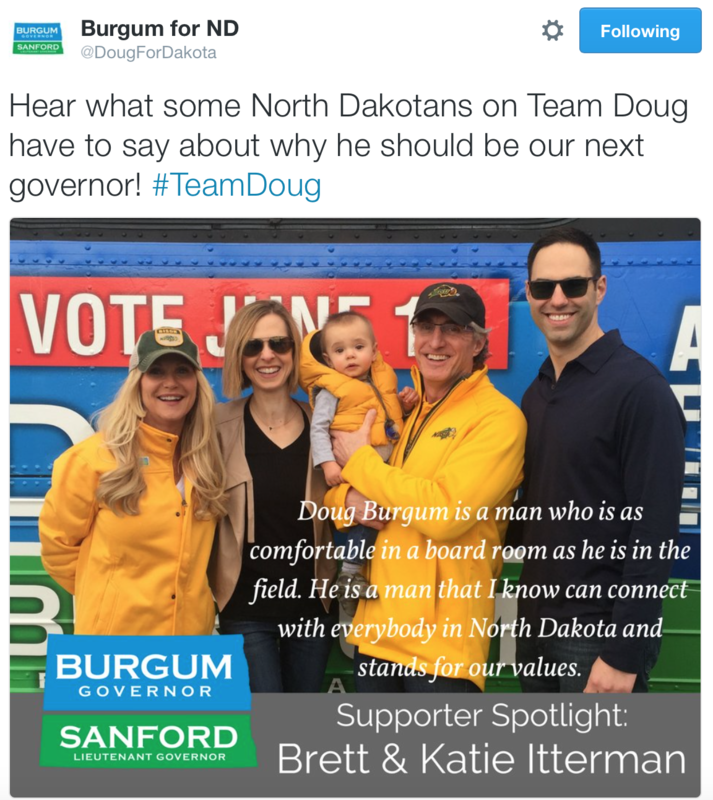 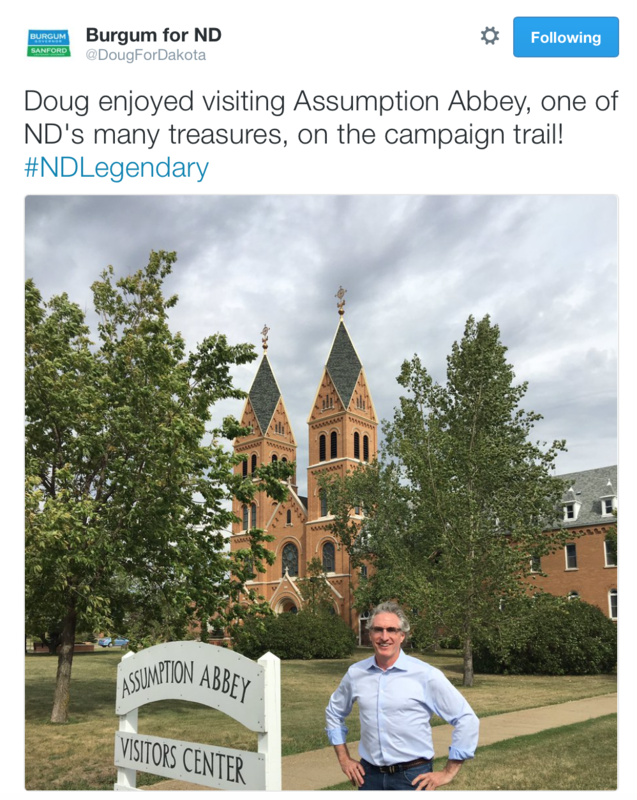 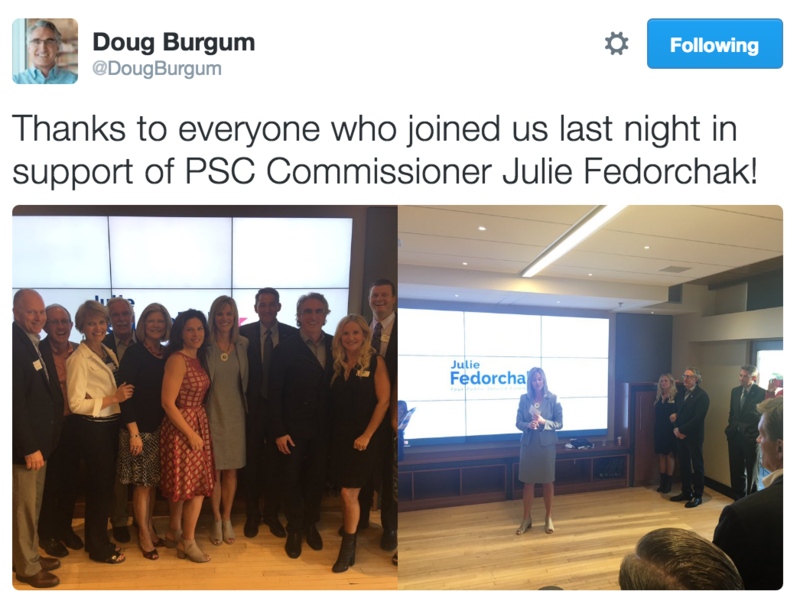 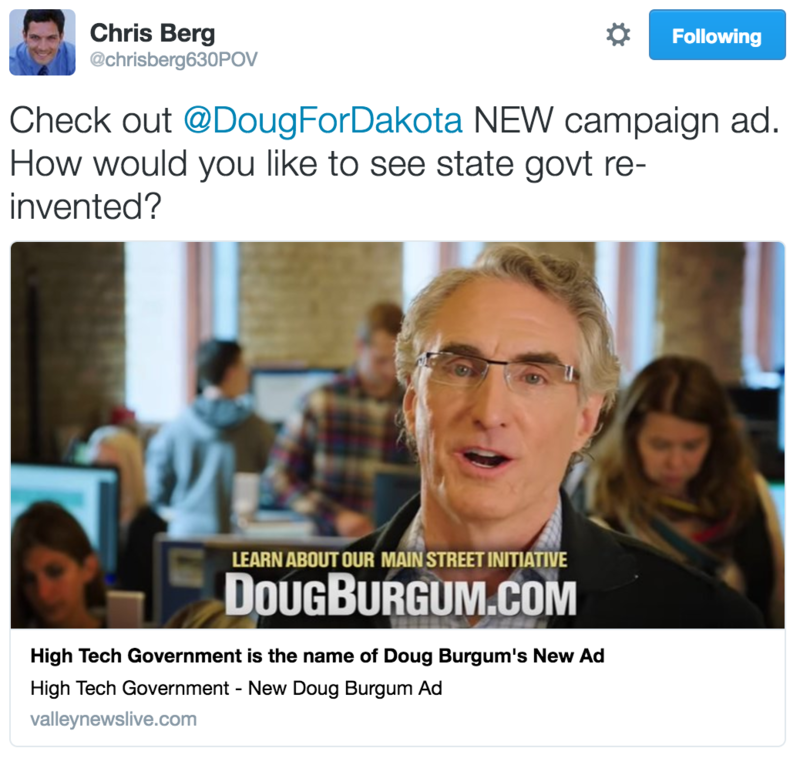 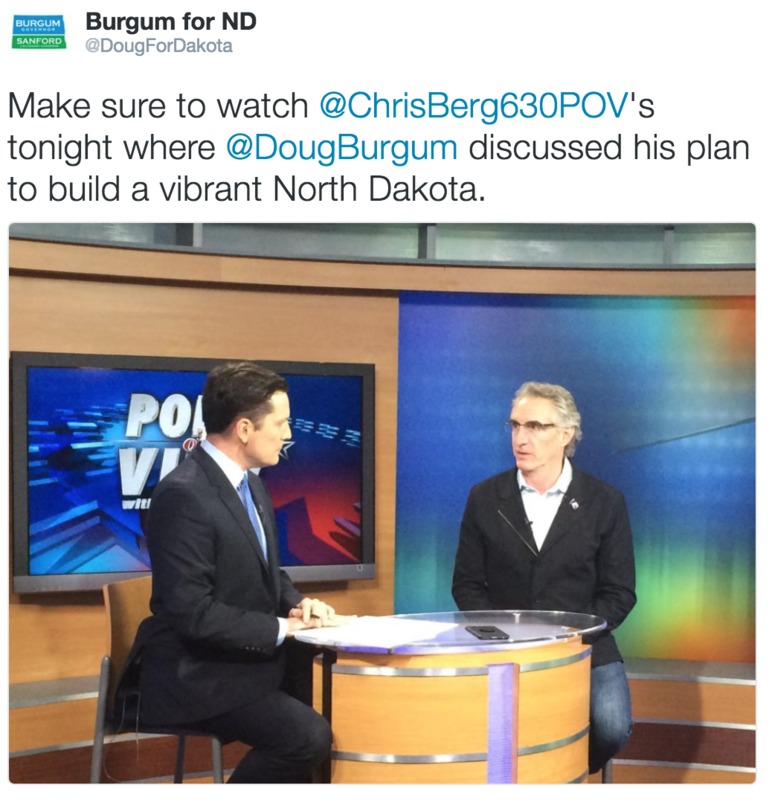 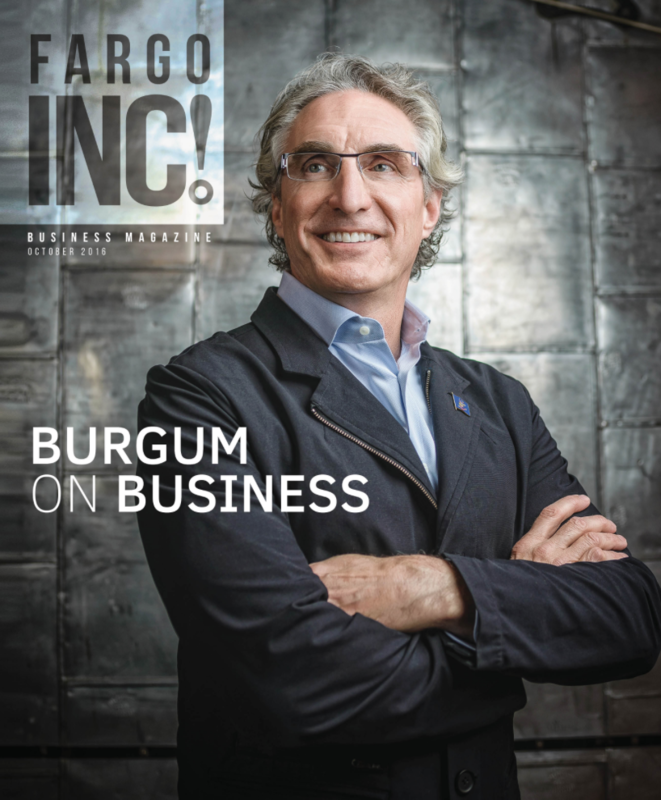 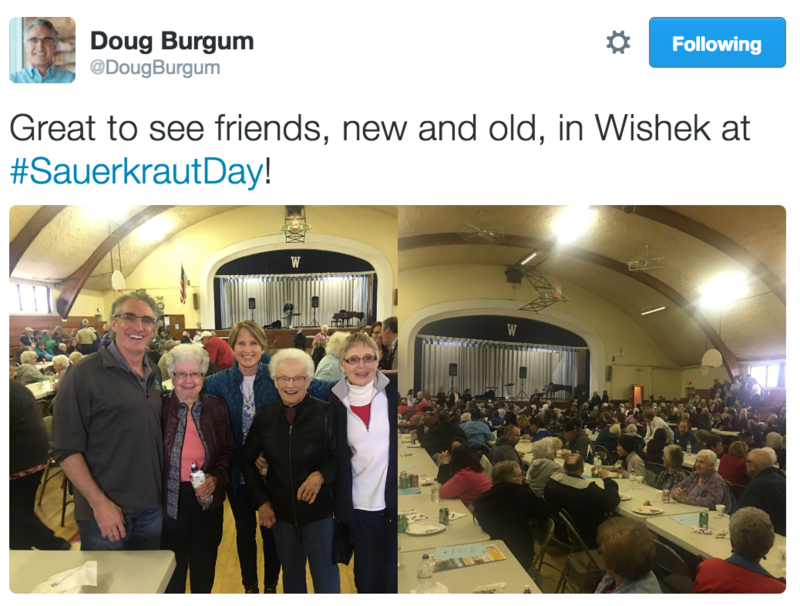 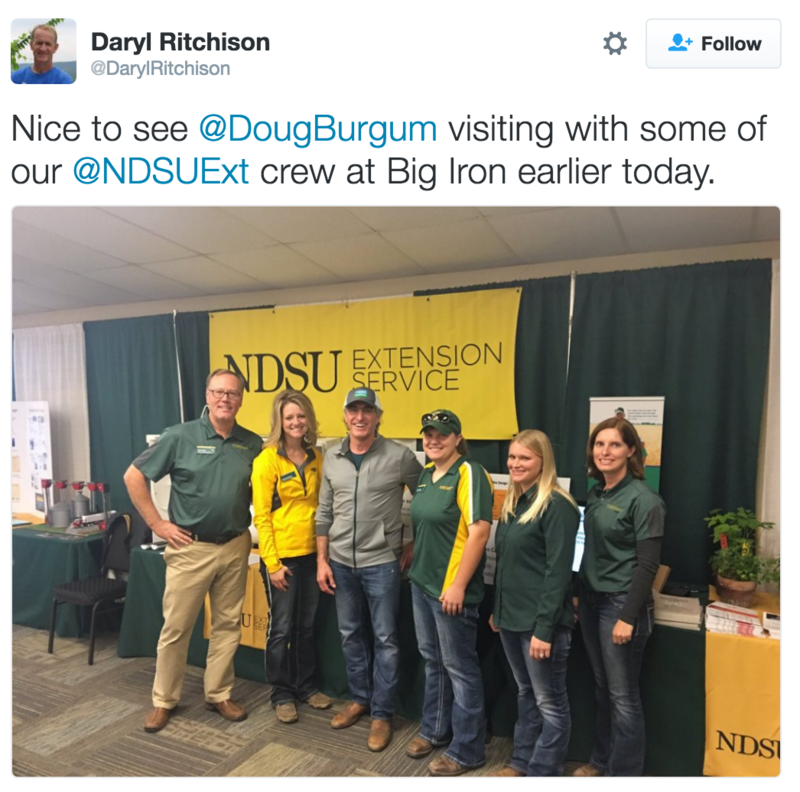 Doug Burgum grew up in Arthur, North Dakota and graduated from North Dakota State University. 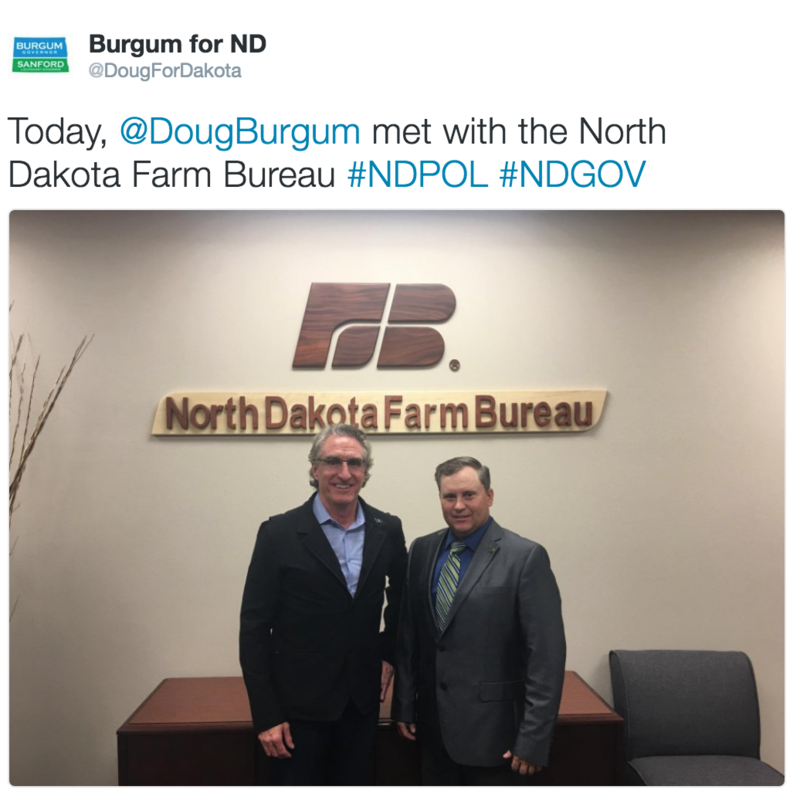 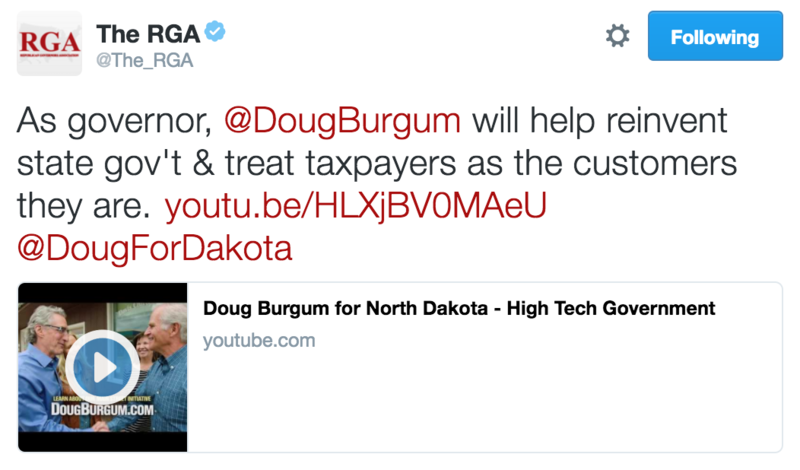 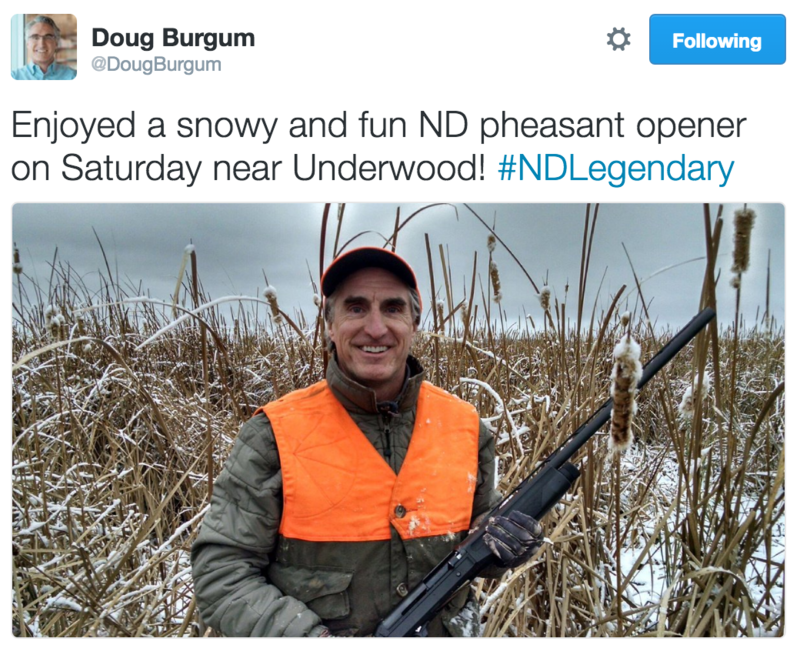 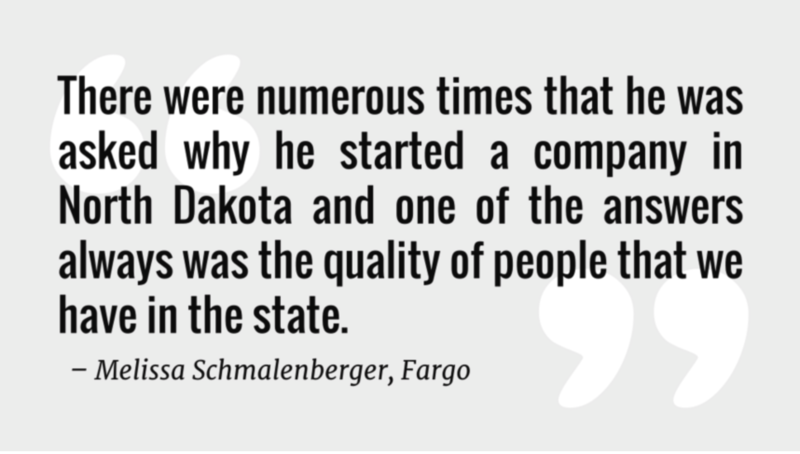 Doug literally bet the family farm on a software startup company that hired thousands of North Dakotans from over 220 North Dakota communities. 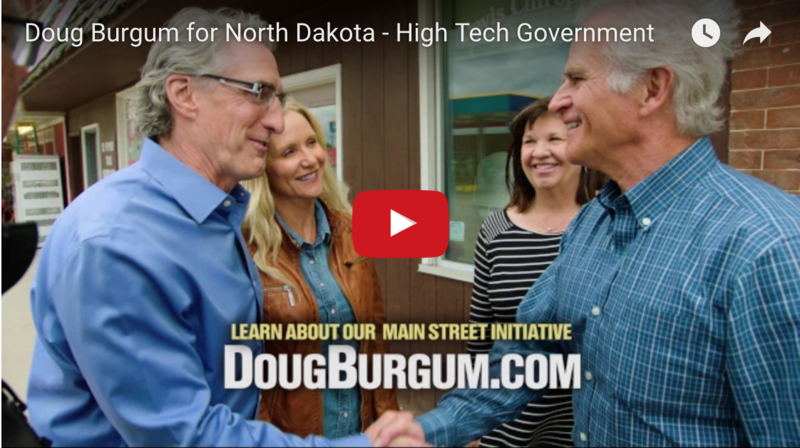 Doug is a business leader and political outsider who will bring new ideas and a fresh perspective that will transform North Dakota’s economy for the future. 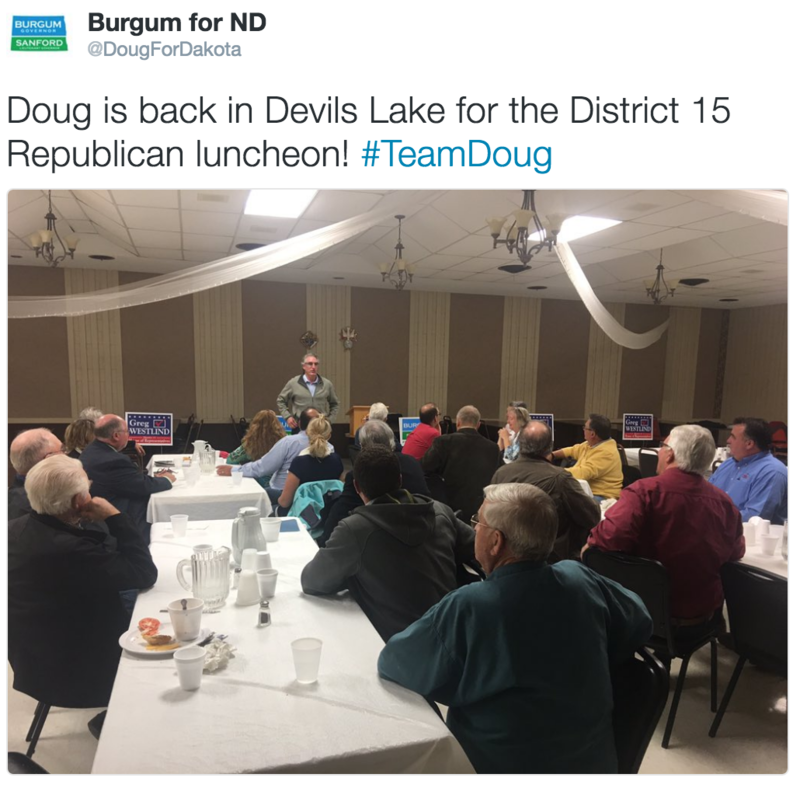 With just 11 days until Election Day, you can feel the enthusiasm building behind Doug’s effort to diversify the economy and build vibrant communities across North Dakota. 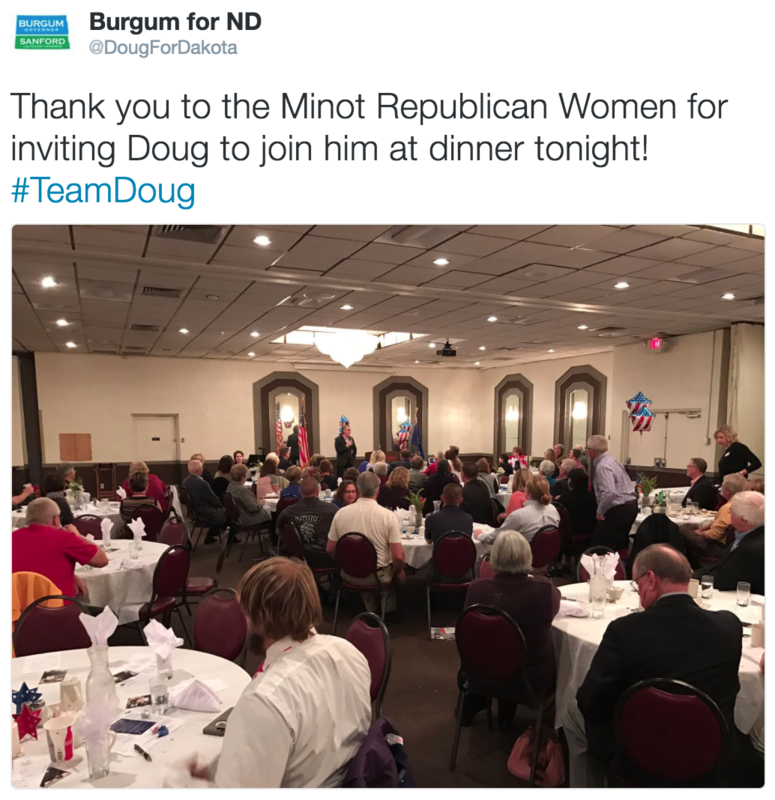 Earlier this week, Doug held a town hall meeting at the Village Inn and spoke at the Minot Republican Women’s monthly dinner. 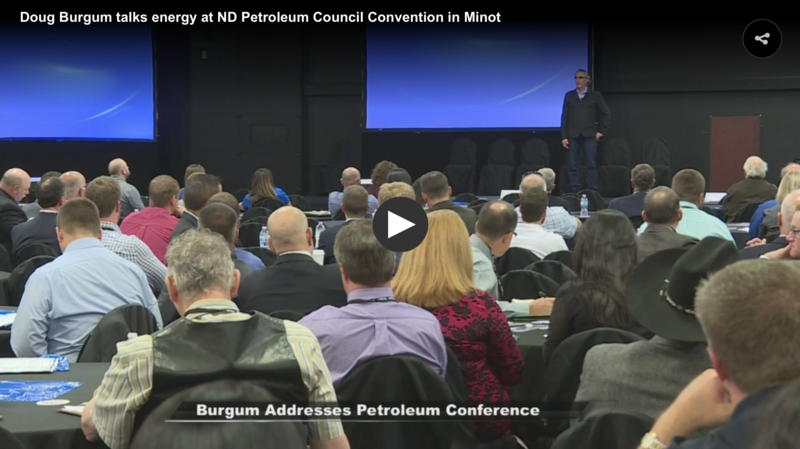 Meanwhile, Brent Sanford was on Scott Hennen’s program and spoke at the North Dakota Association of Oil and Gas Producing Counties conference. 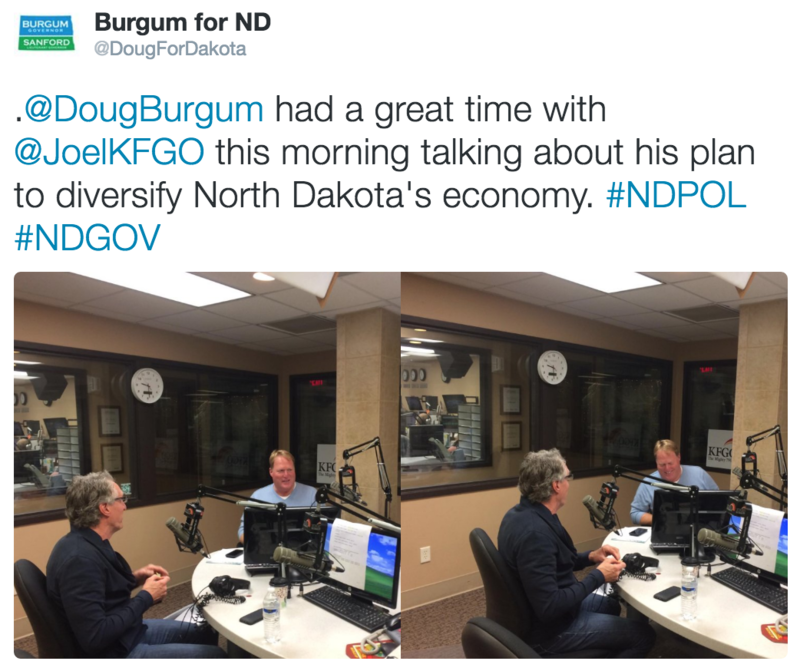 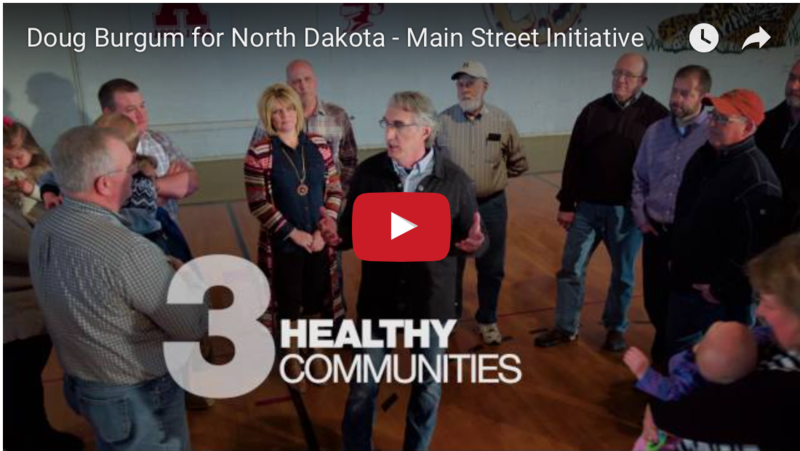 It was an exciting week for the campaign, as Doug Burgum outlined his Main Street Initiative that will create jobs and help communities across North Dakota attract and retain a strong workforce. 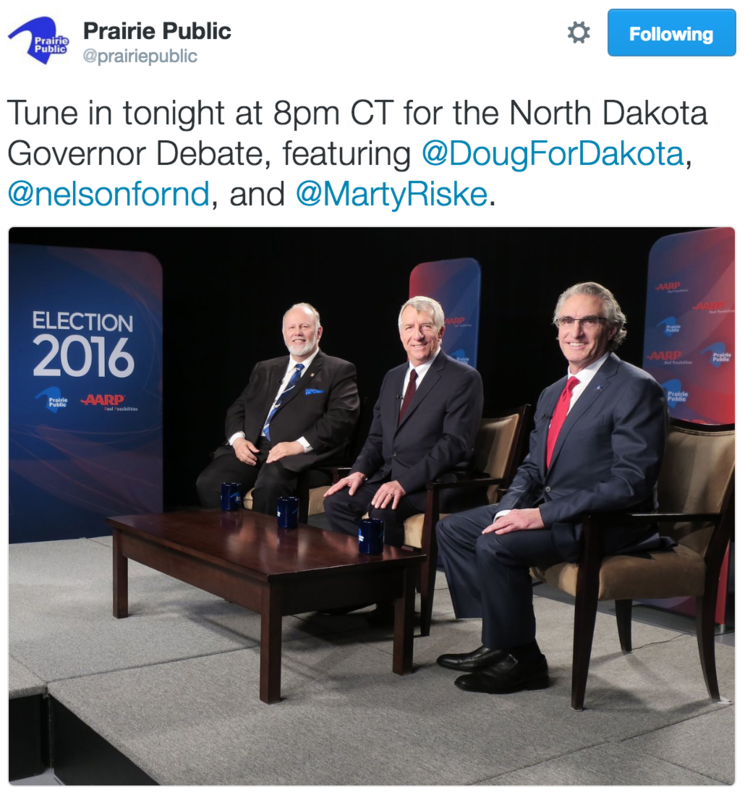 Doug also spoke with Scott Hennen, Rob Port, Joel Heitkamp and Chris Berg’s about issues facing North Dakota. 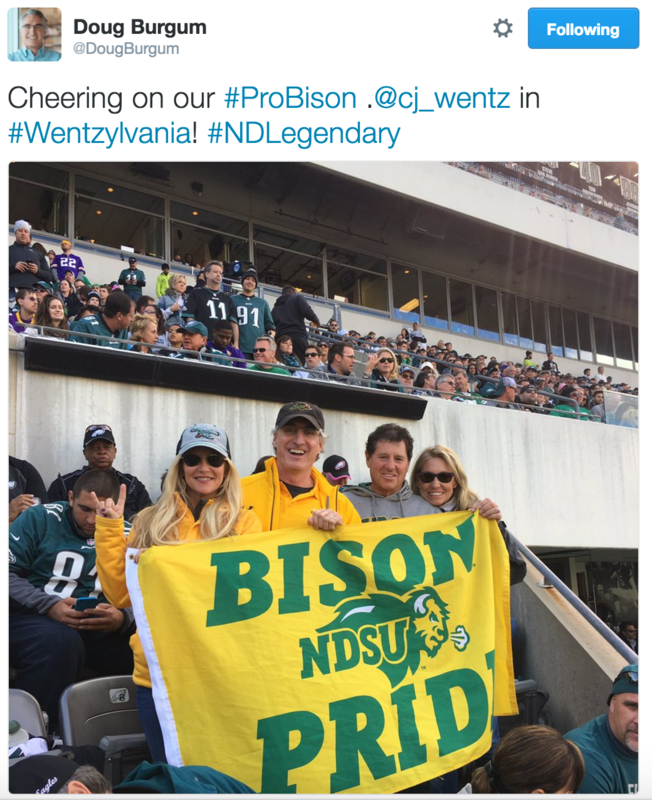 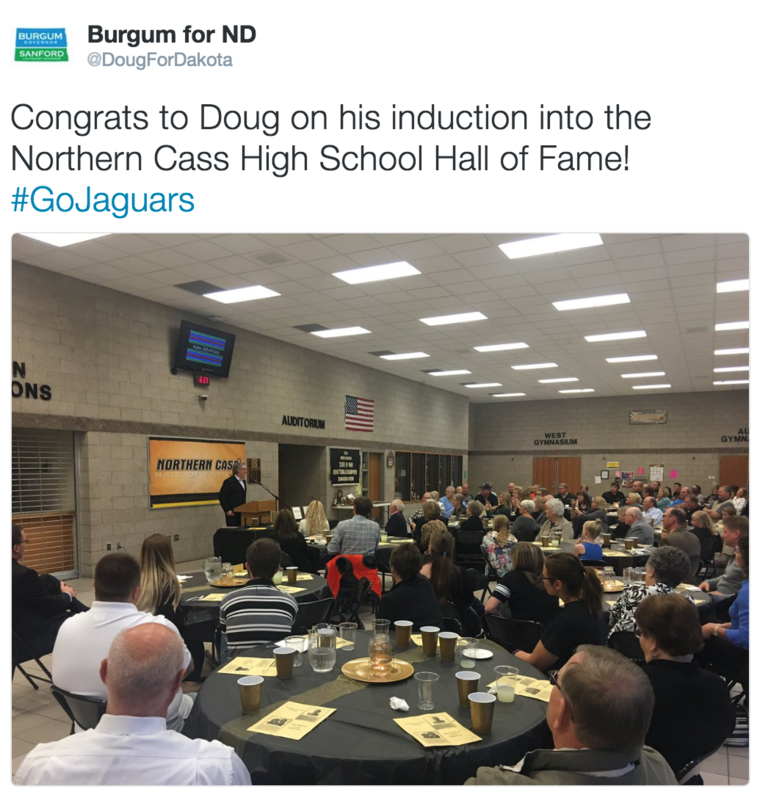 Finally, with the Vikings playing the Eagles on Sunday, Doug praised Carson Wentz for being an inspirational figure for our state. 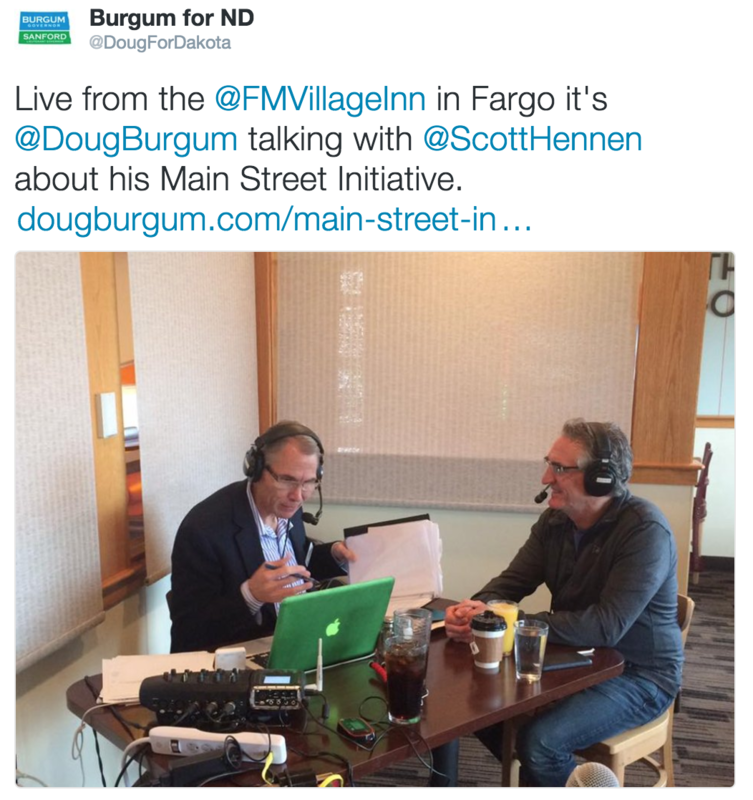 Finally, to read more about Doug and Brent’s Main Street Initiative visit our website! 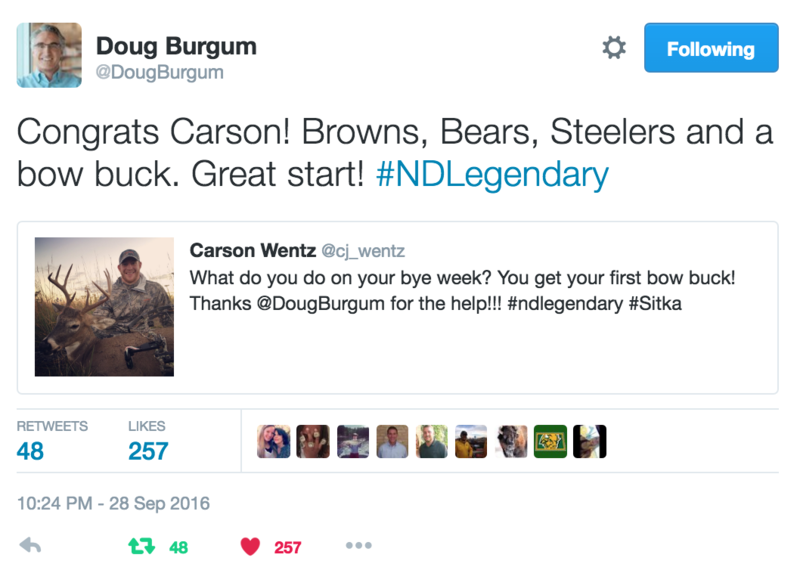 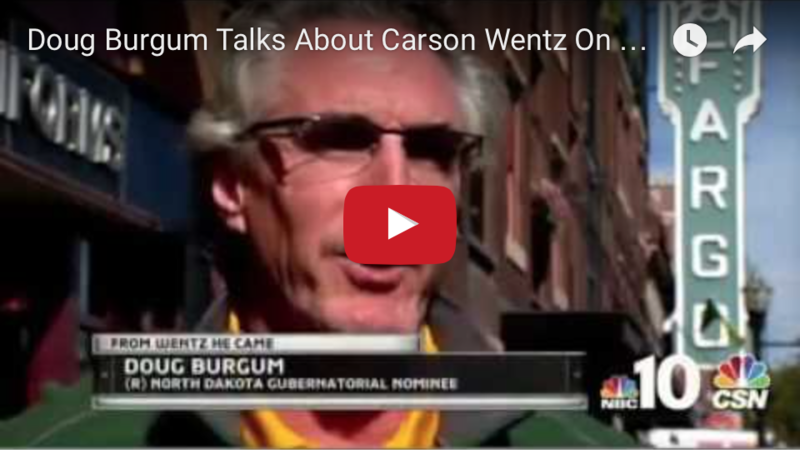 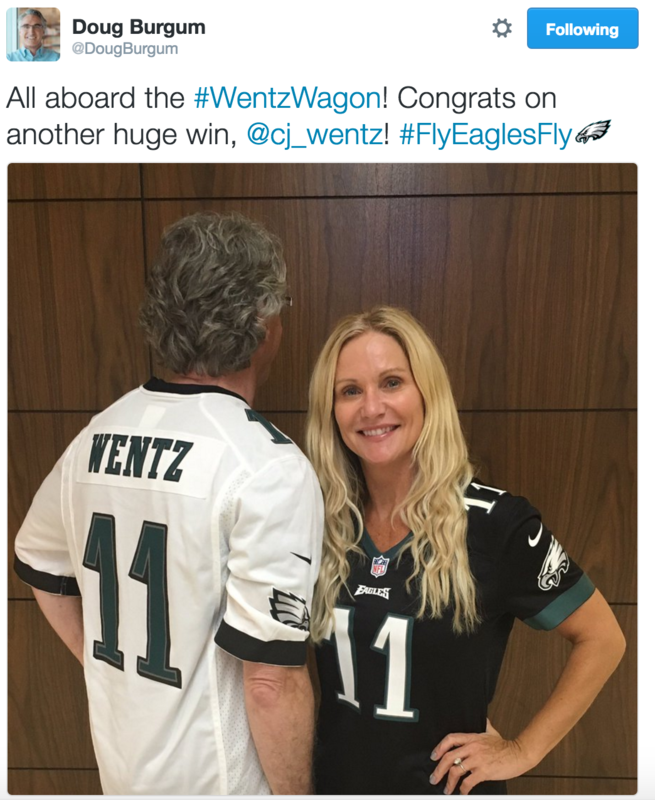 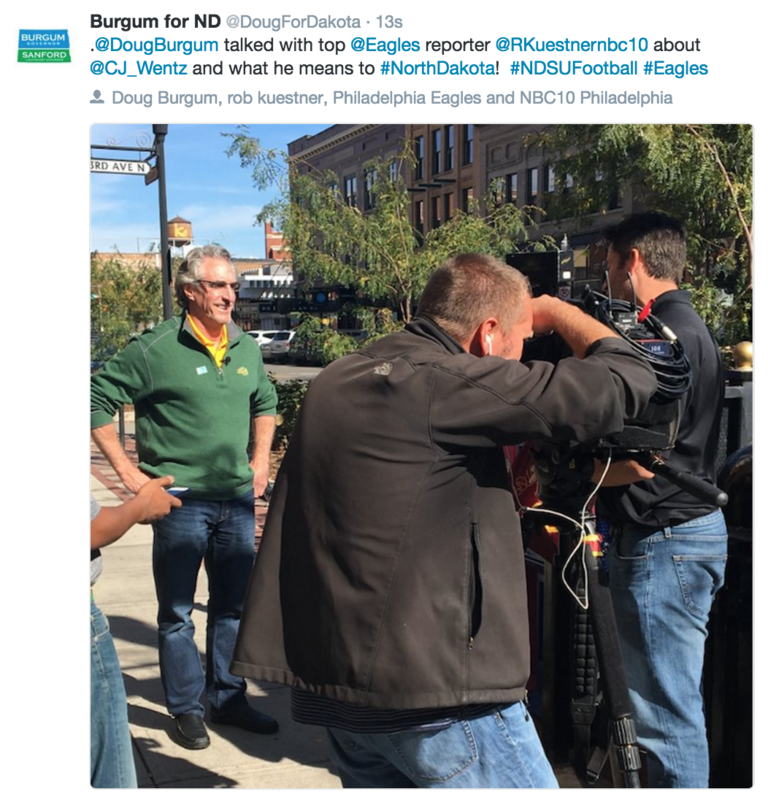 Additionally, Doug was recently on Comcast SportsNet praising Carson Wentz. 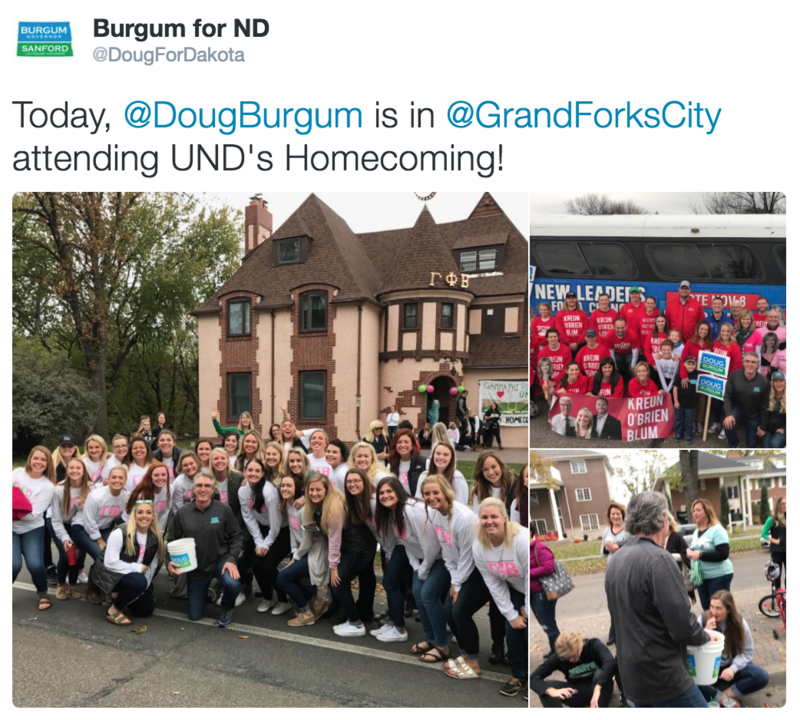 Between releasing our first ad, our final debate, an endorsement from the NFIB, a trip to Wishek for Sauerkraut Day and UND’s Homecoming it was an exciting week for the campaign. 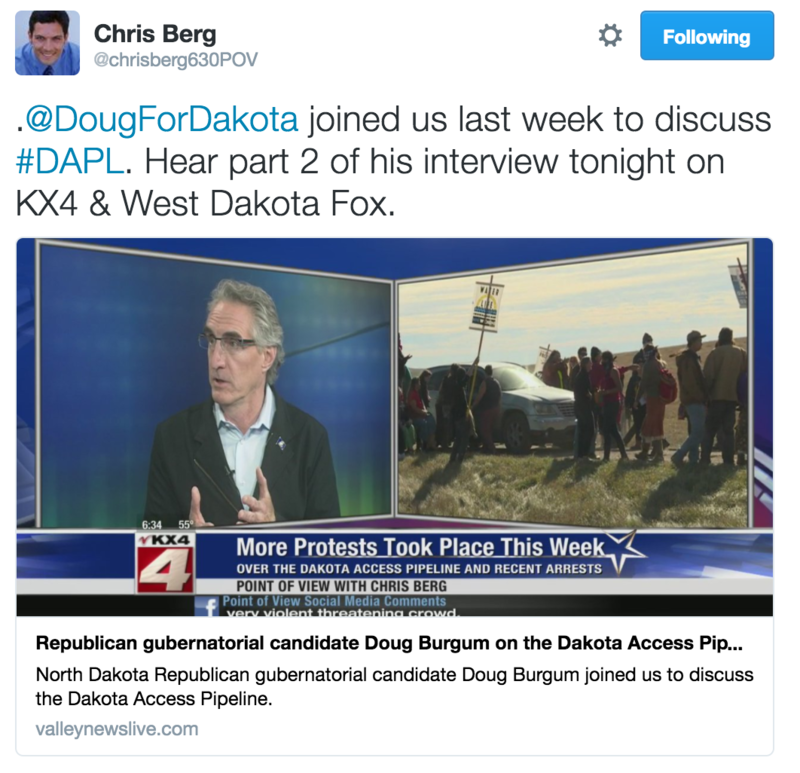 Let’s look at the news from the past week. 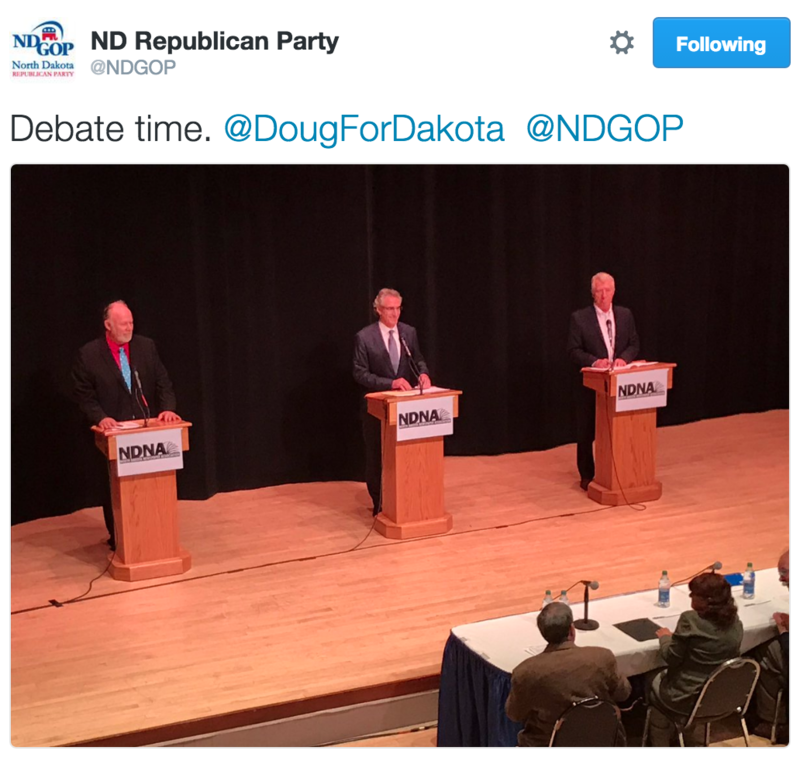 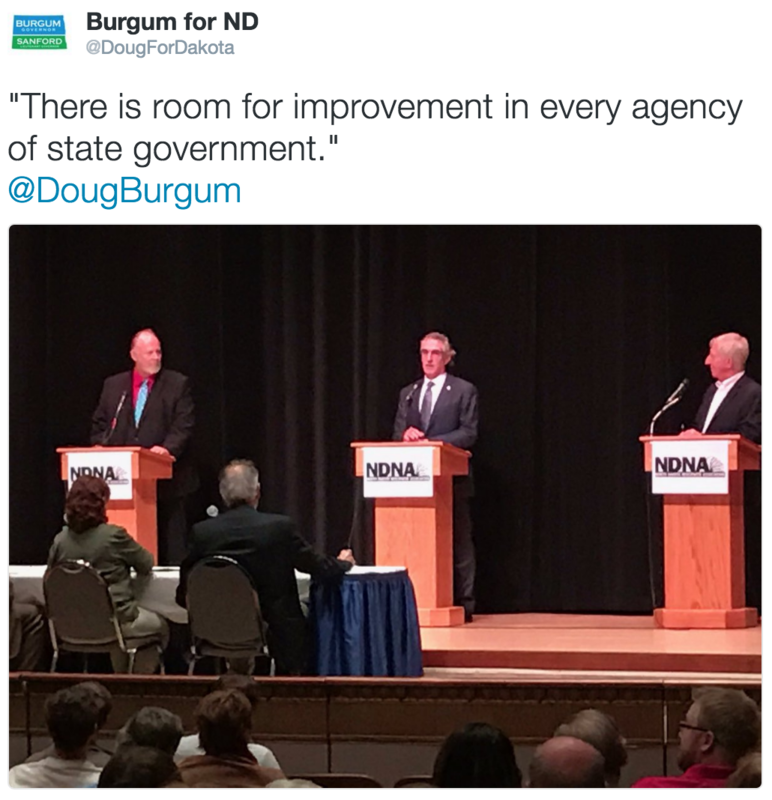 It was an exciting week for the campaign, as we had our second debate where Doug discussed his plan to transform North Dakota’s economy. 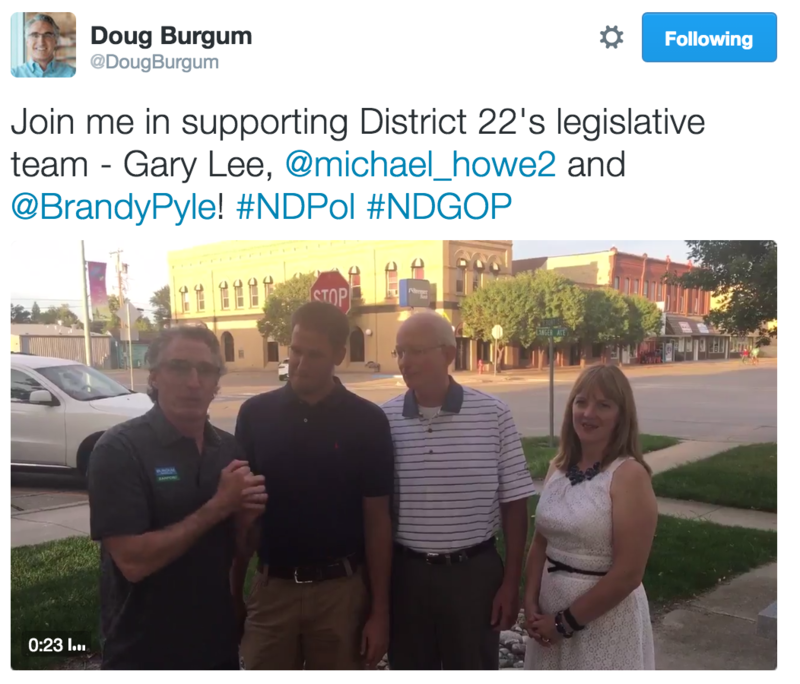 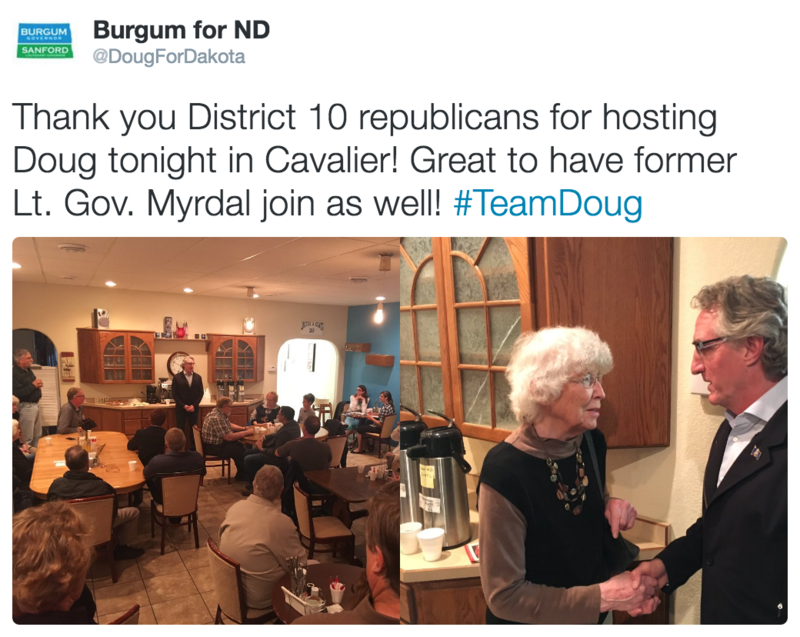 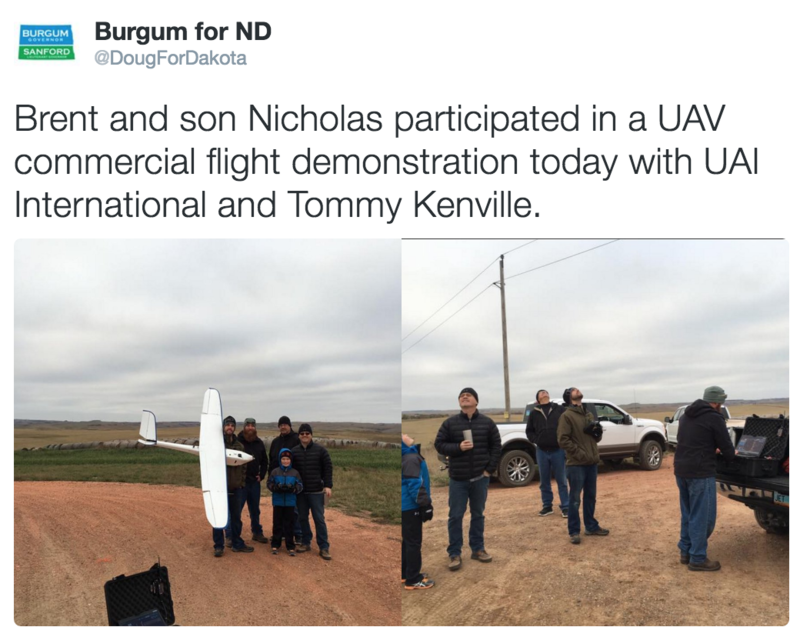 Additionally, Doug campaigned in Cavalier and also chatted with Scott Hennen and Joel Heitkamp on the radio about his vision for North Dakota. 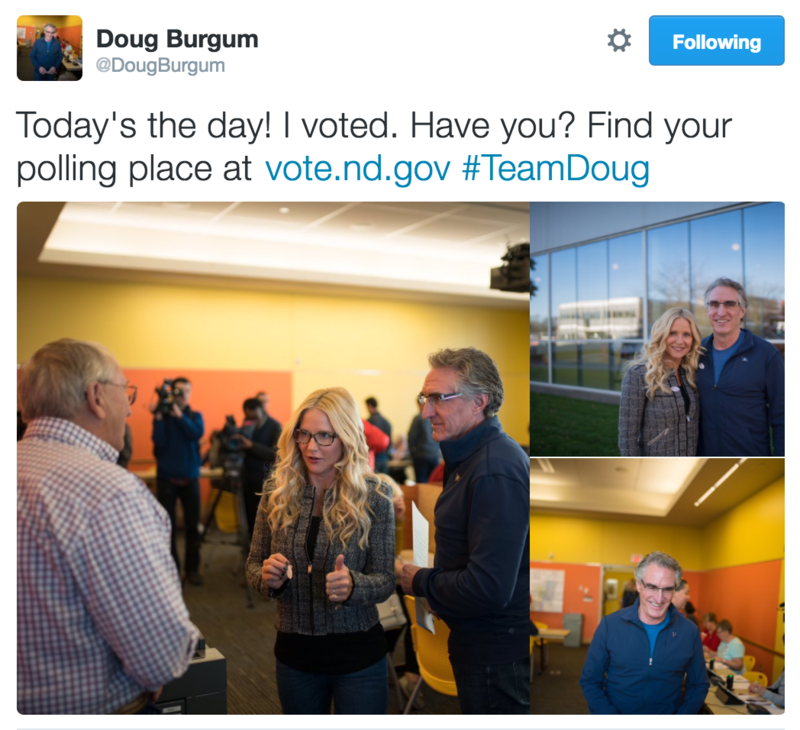 It was an exciting week for the campaign, as early voting has officially begun in North Dakota. 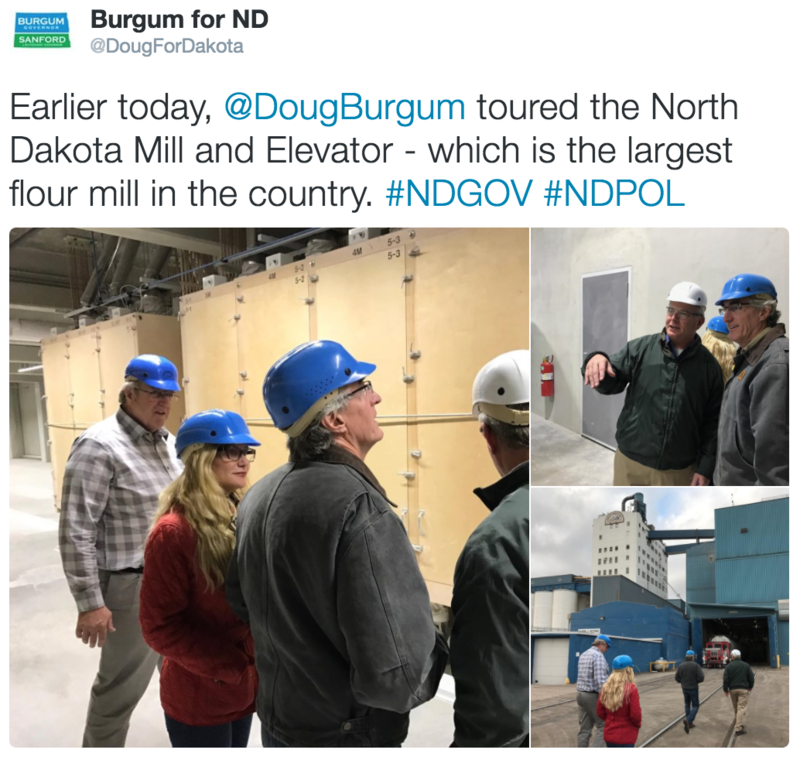 Additionally, Doug and Brent traveled around the state where they discussed their plans to create a new economy for North Dakota, which will create jobs. 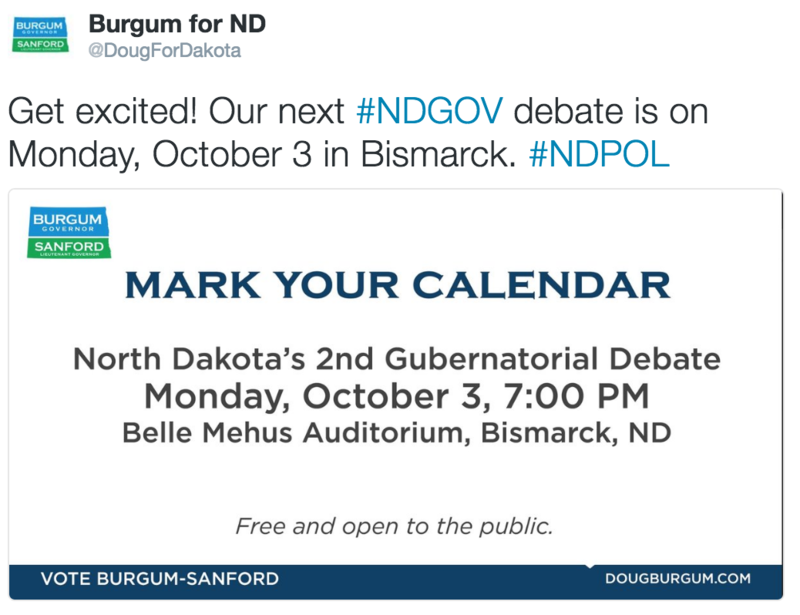 Finally, next Monday night is the second debate which will be held in Bismarck. 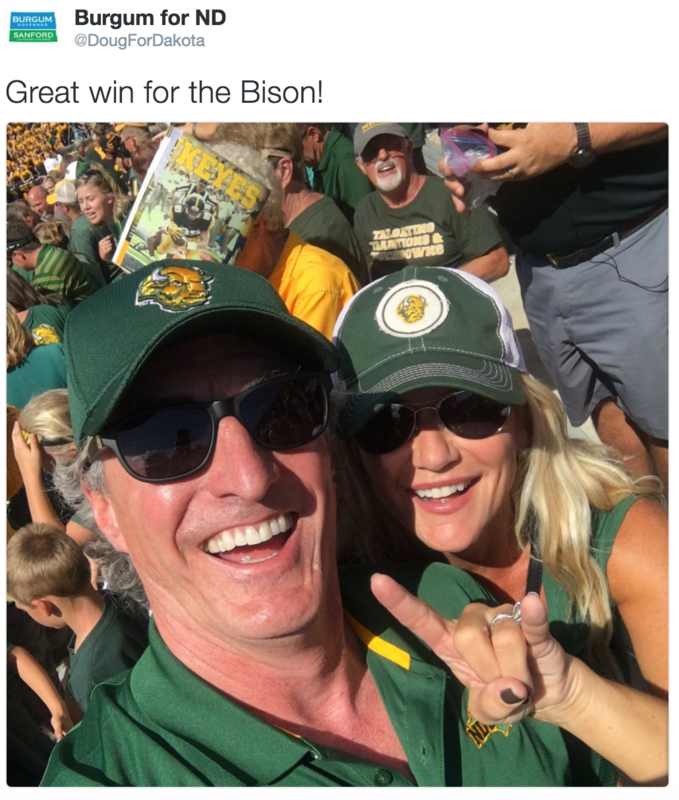 Let’s look at the news from the past few days. 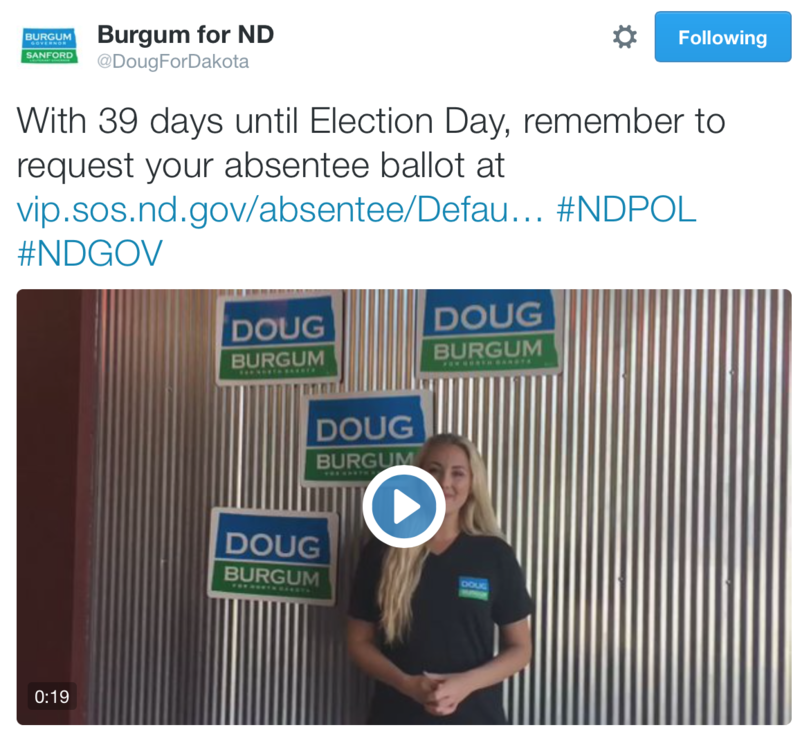 With Election Day approaching, Team Doug released a web video highlighting how to vote early for Doug and the GOP ticket. 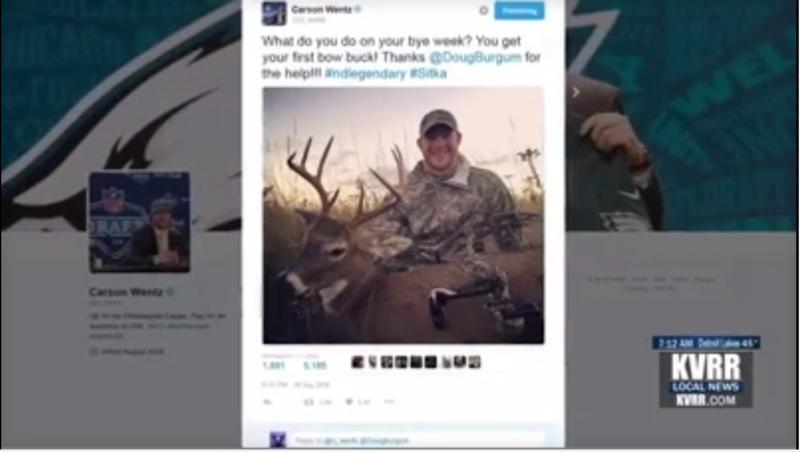 Carson Wentz got his first bow buck and KVRR-TV reports that Wentz thanked Doug for his assistance. 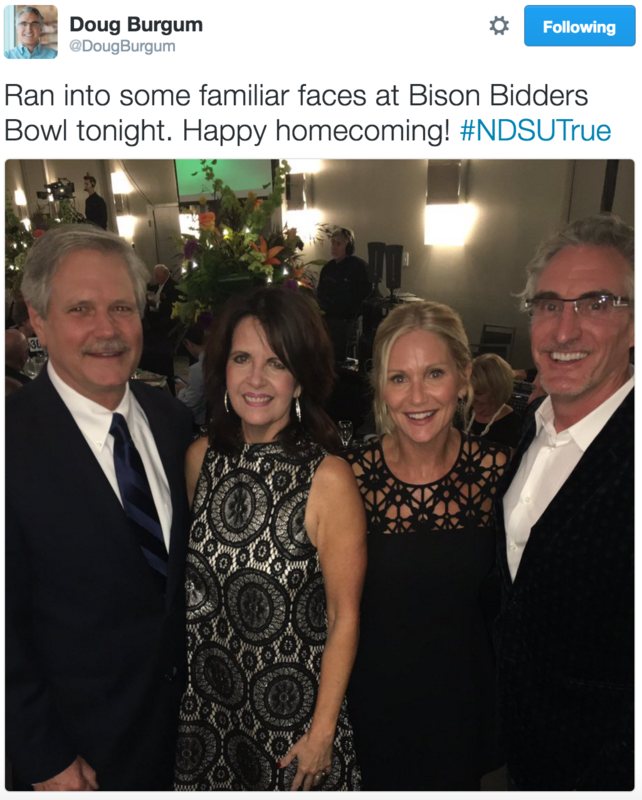 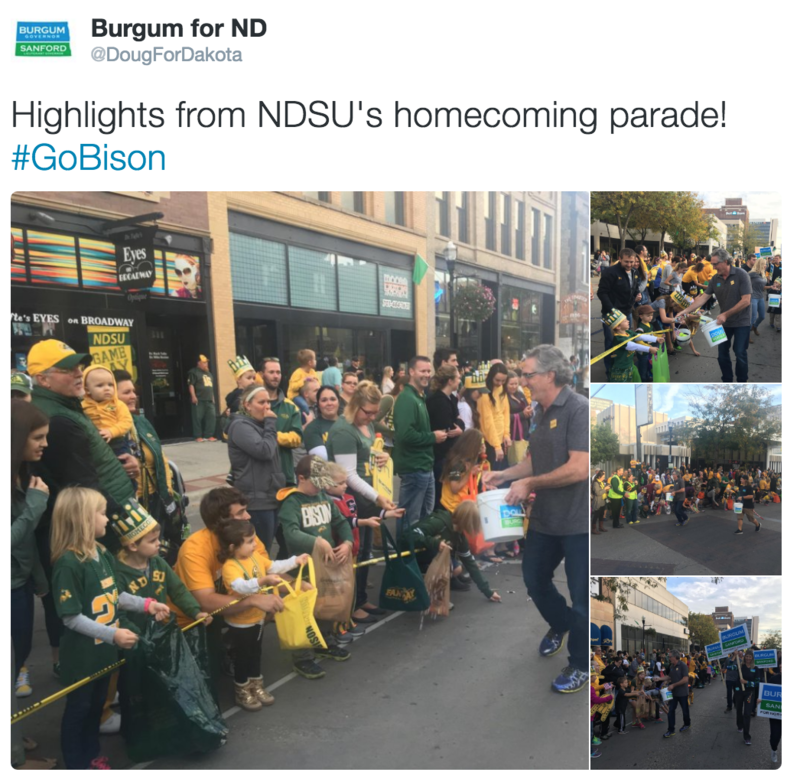 Additionally, Team Doug participated in NDSU’s homecoming parade. 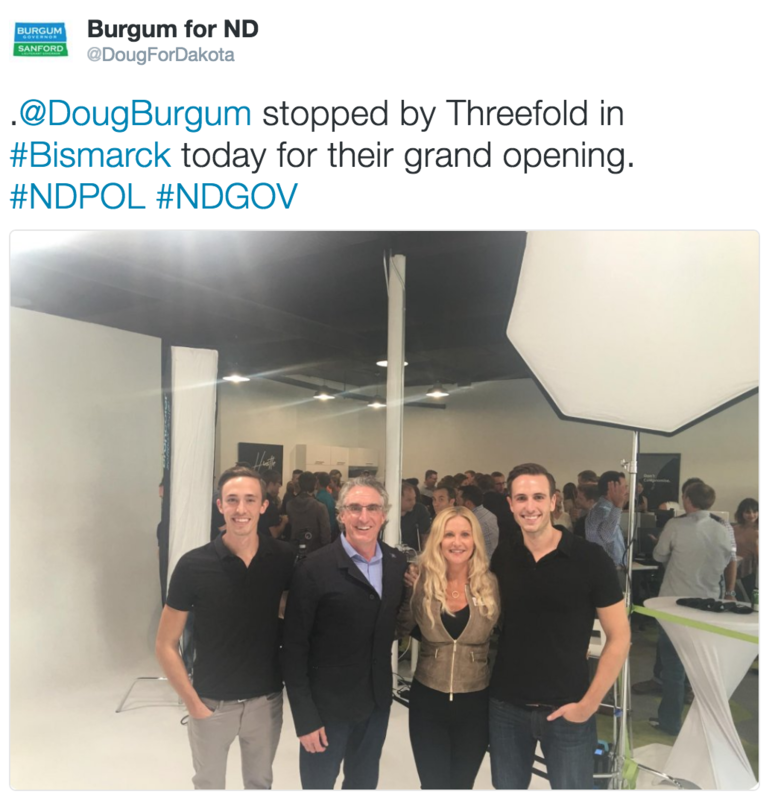 Finally, Hanford Mayor Debbie Burgum Dahl writes on Facebook that Hannaford is Burgum Country. 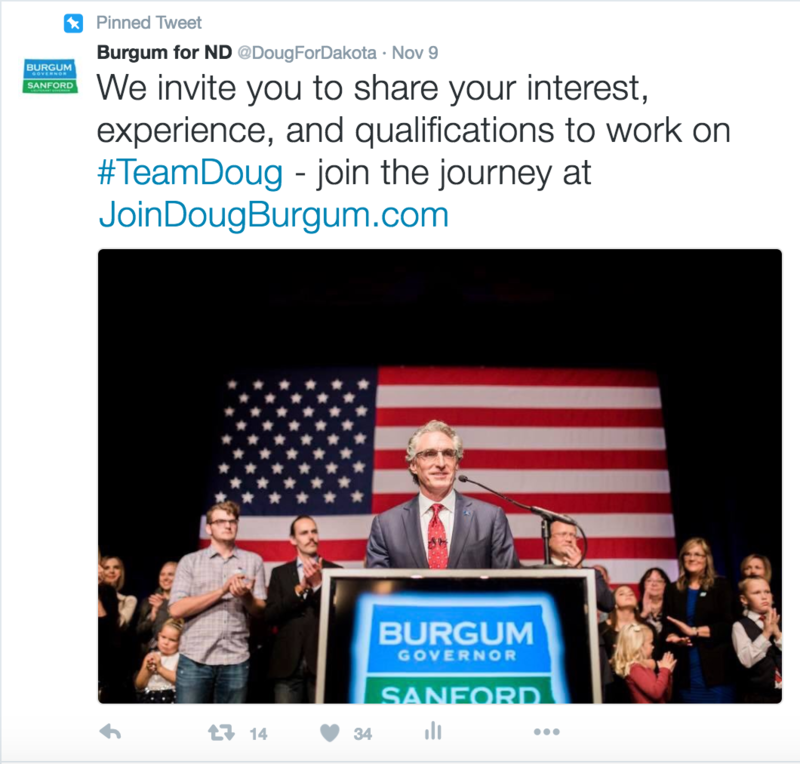 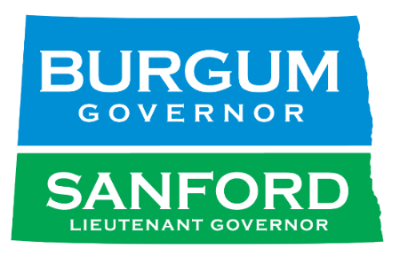 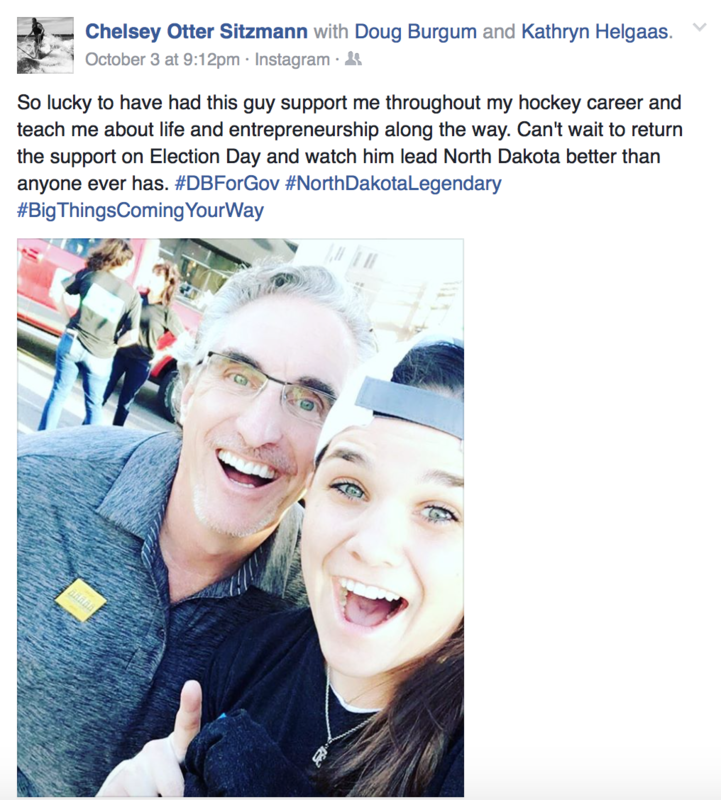 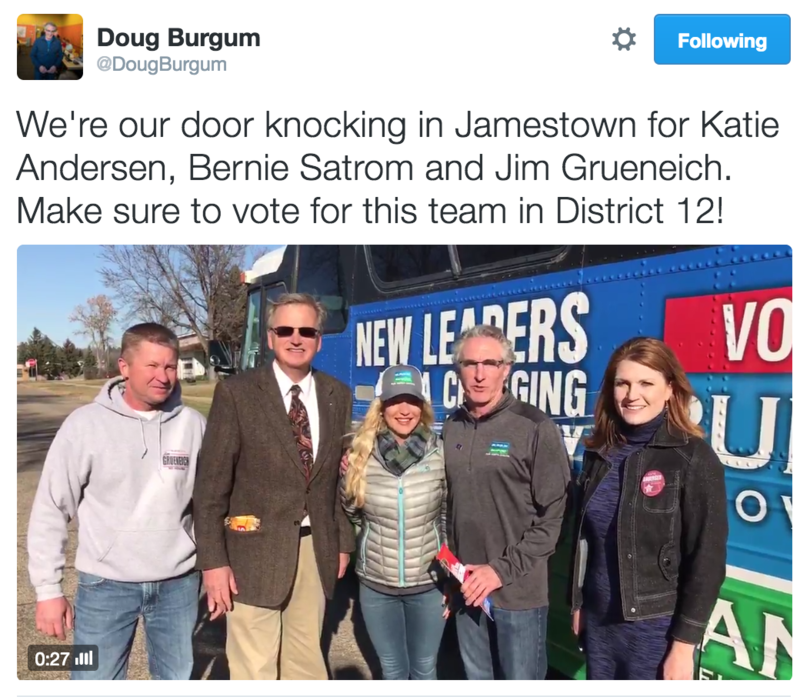 With 45 days until Election Day, it was an exciting week for the Burgum/Sanford campaign. 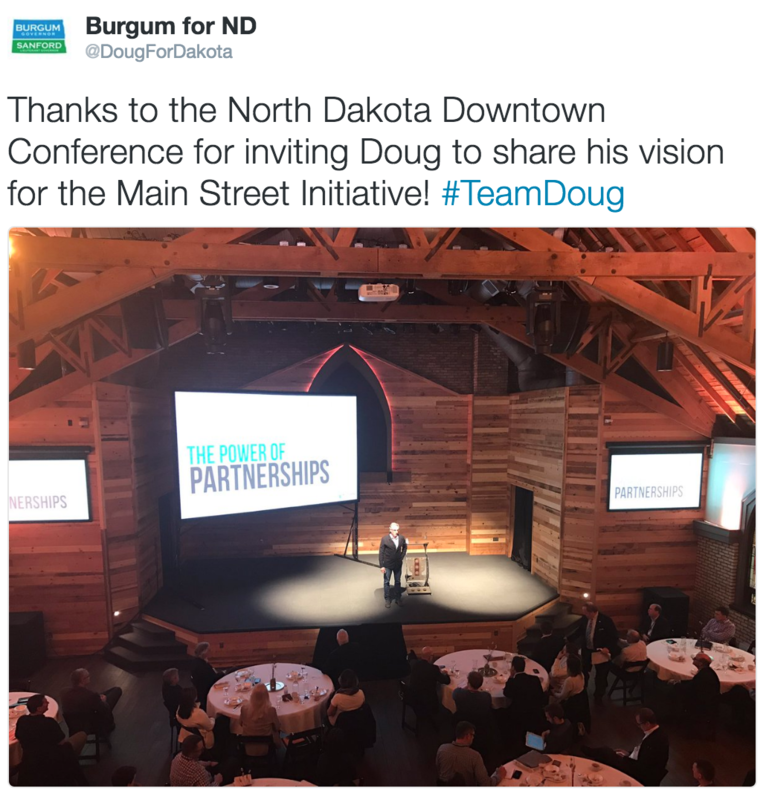 Doug and Brent attended an energy conference and also attended a town hall meeting with Bronze Star recipient Pete Hegseth in Minot. 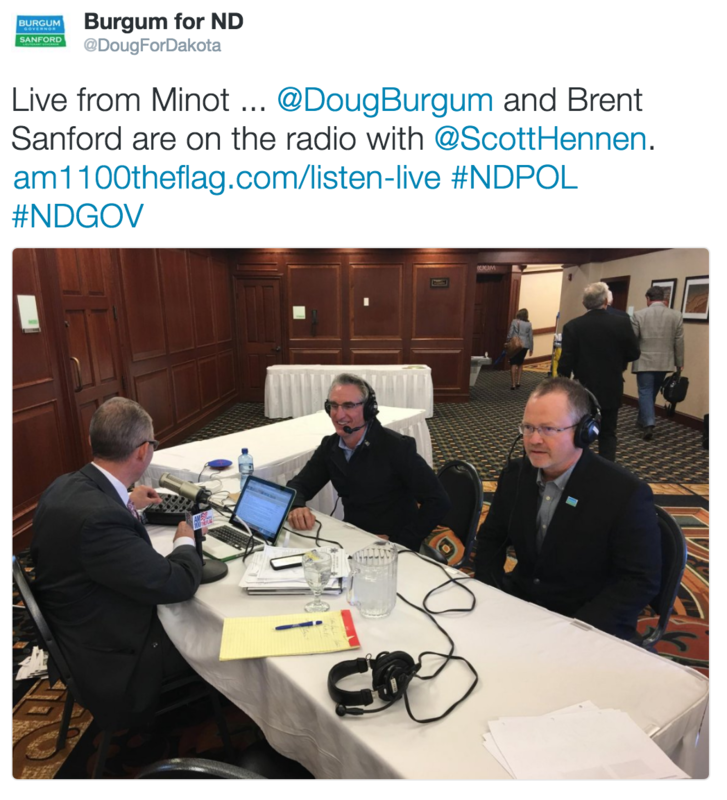 Additionally, Doug spoke with radio hosts Scott Hennen and Joel Heitkamp at length about various issues. 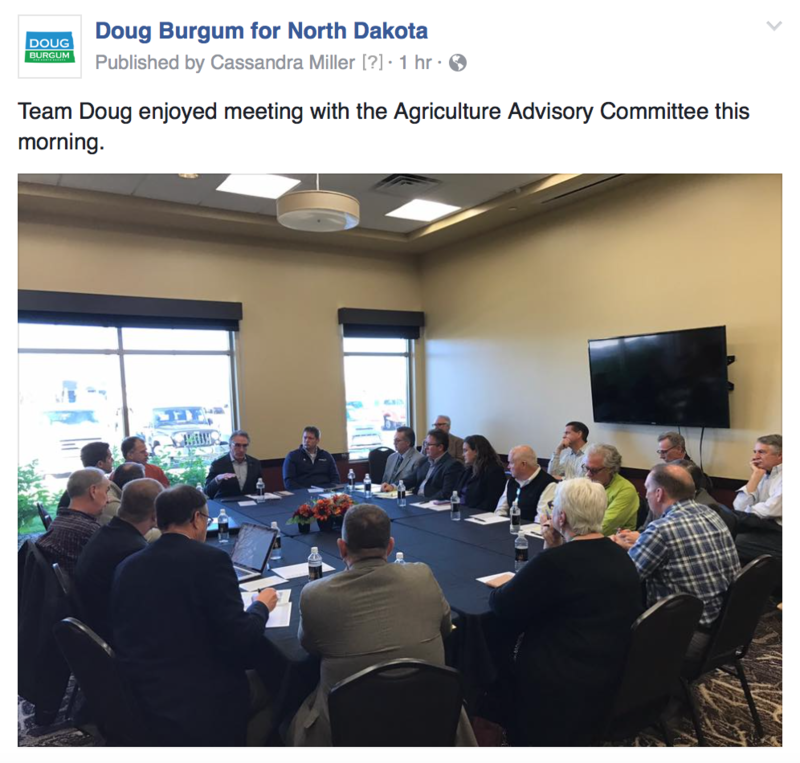 Finally, Doug’s vision to transform and diversify North Dakota’s is resonating across party lines, as this morning a Democrat state house candidate endorsed him. 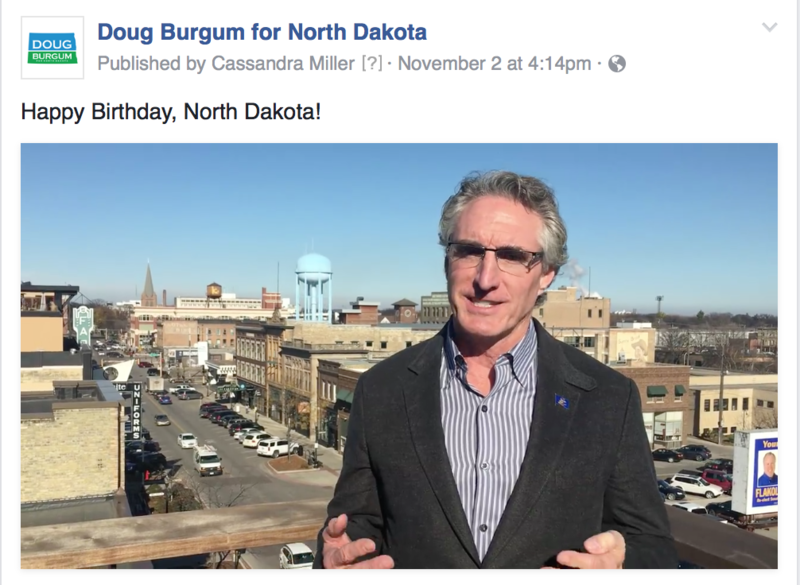 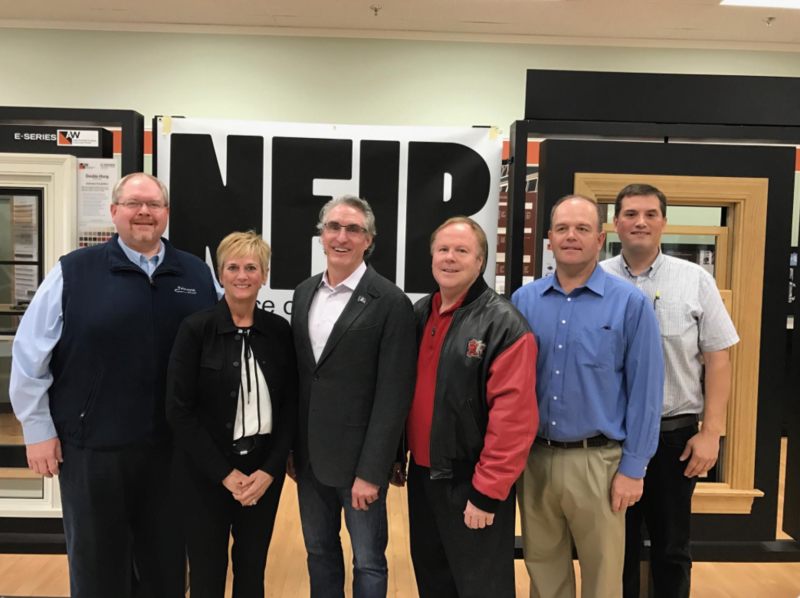 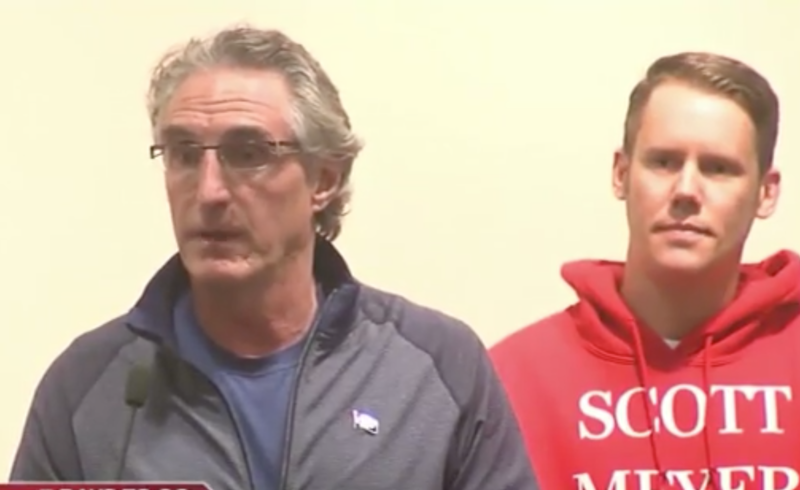 With 52 days until Election Day, Doug Burgum and Brent Sanford were busy campaigning this week about their vision to build a new economy for North Dakota. 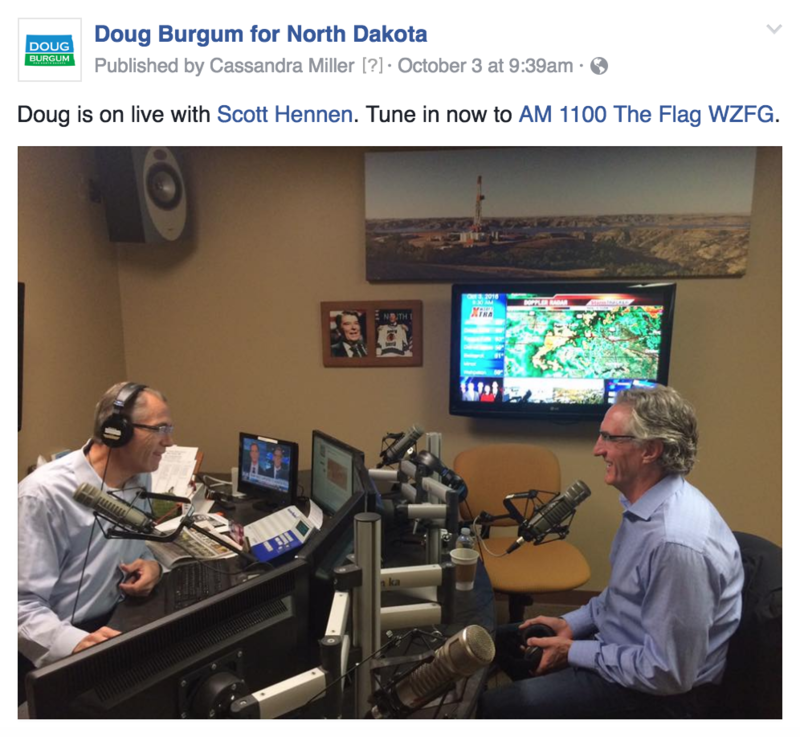 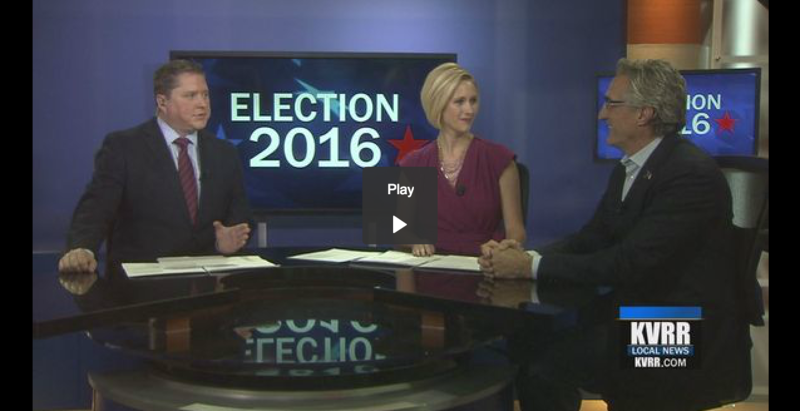 Additionally, Doug was on WDAY-AM today where he gave an update from the campaign trail. 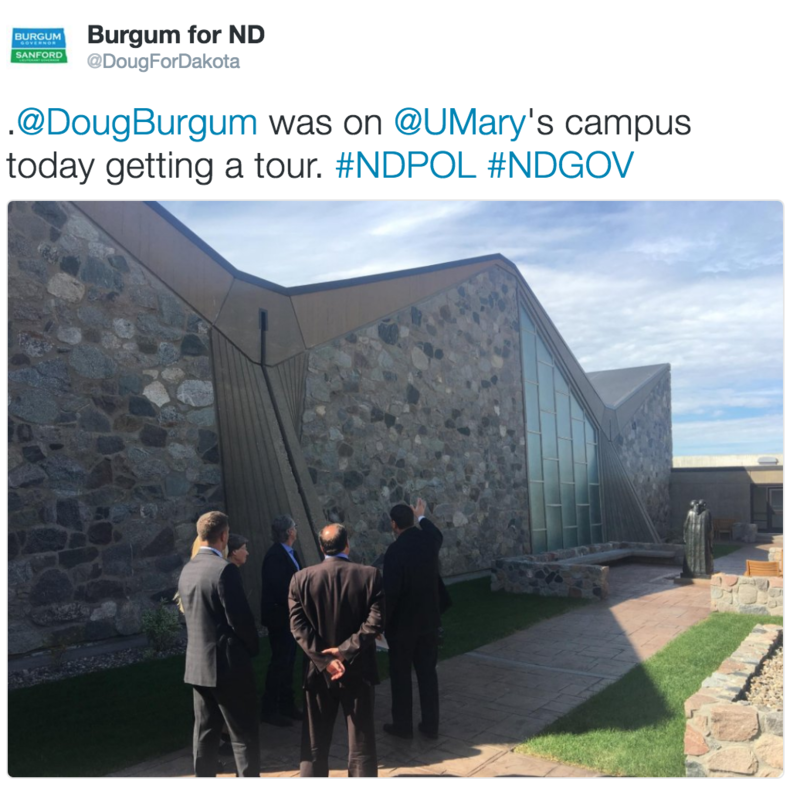 Below are the highlights from the week, which include campaign stops in Fargo, Grand Forks and Bismarck. 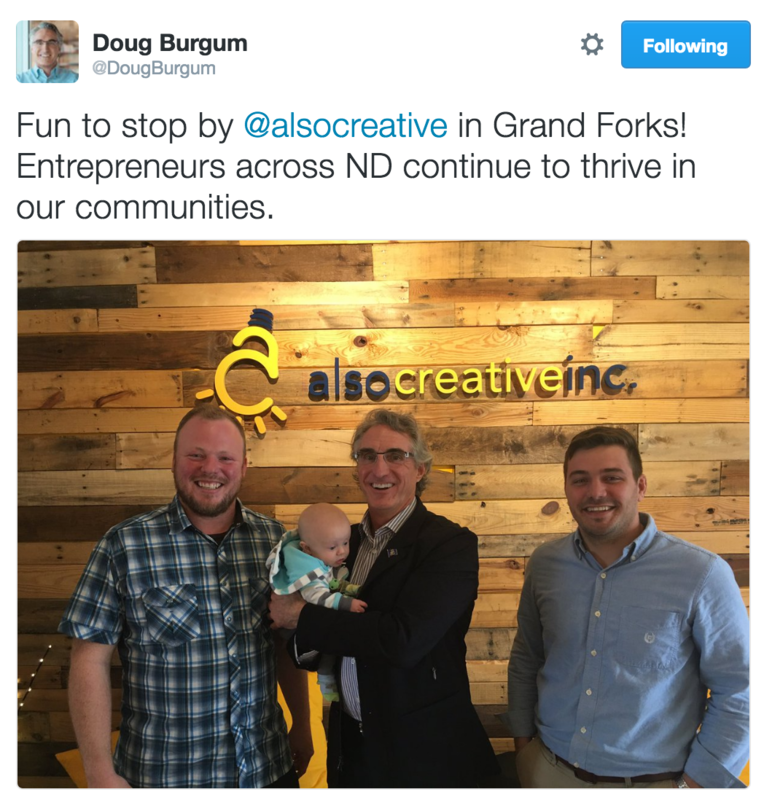 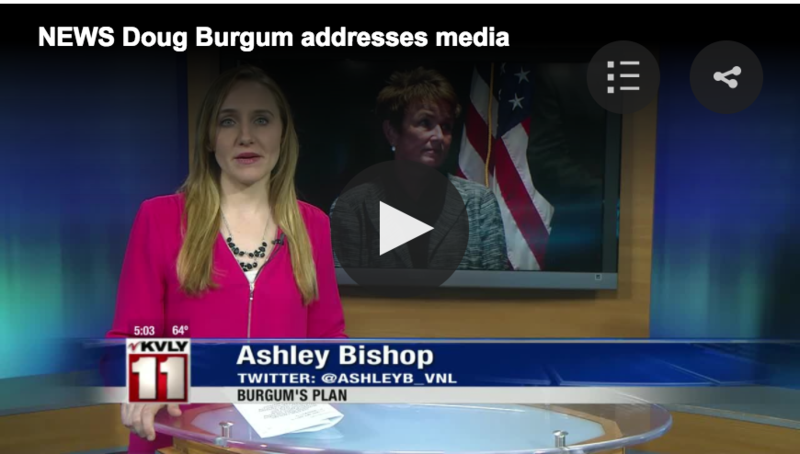 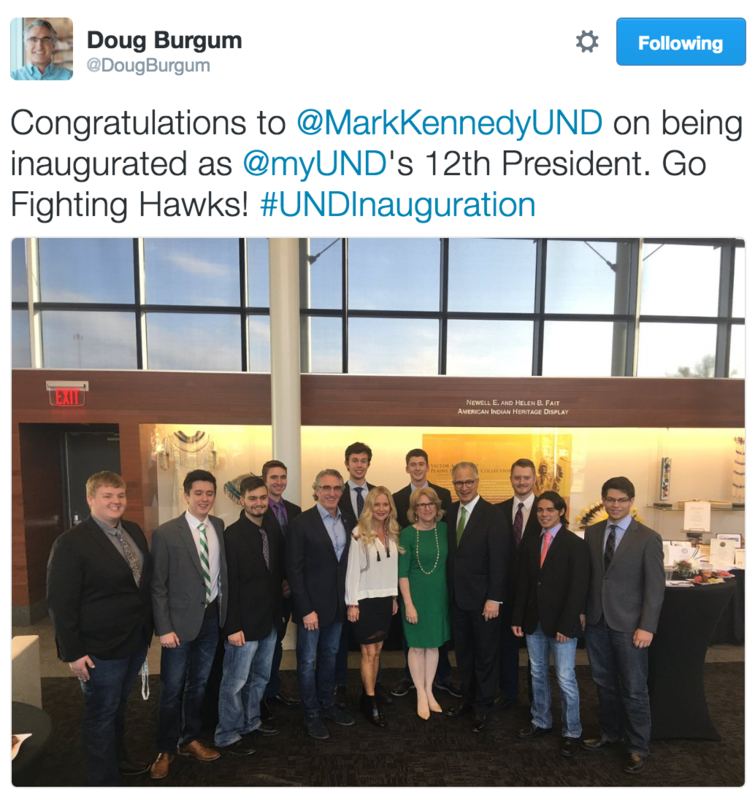 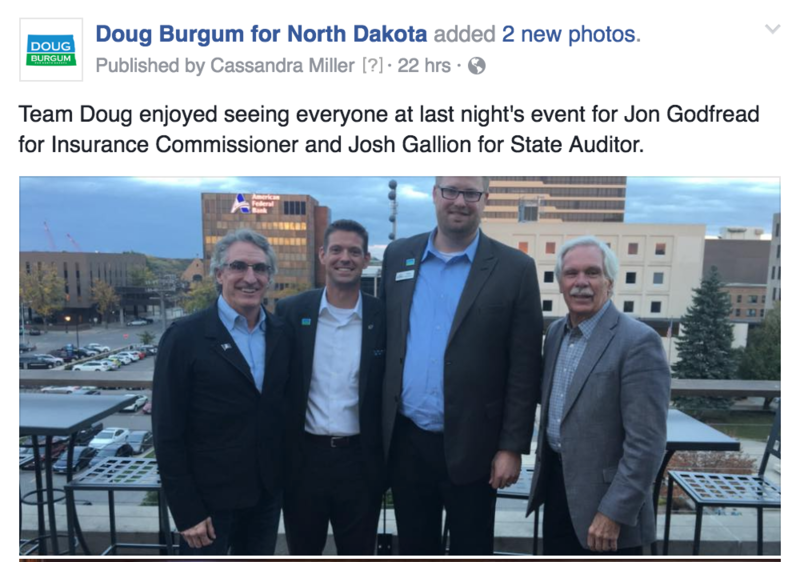 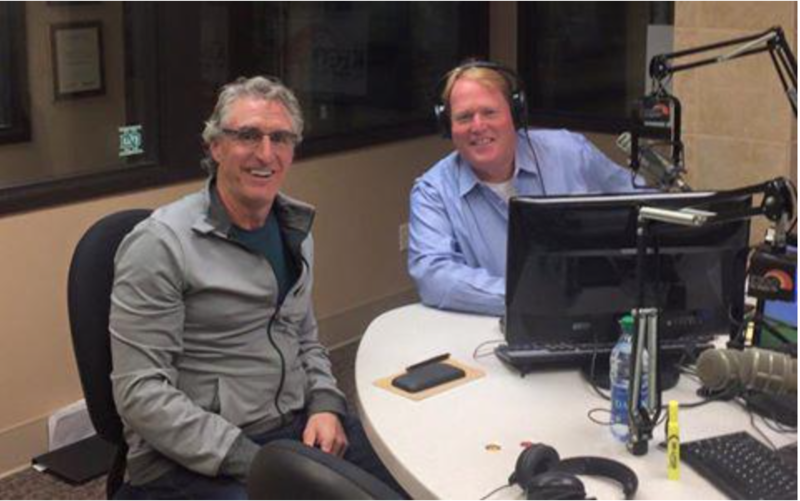 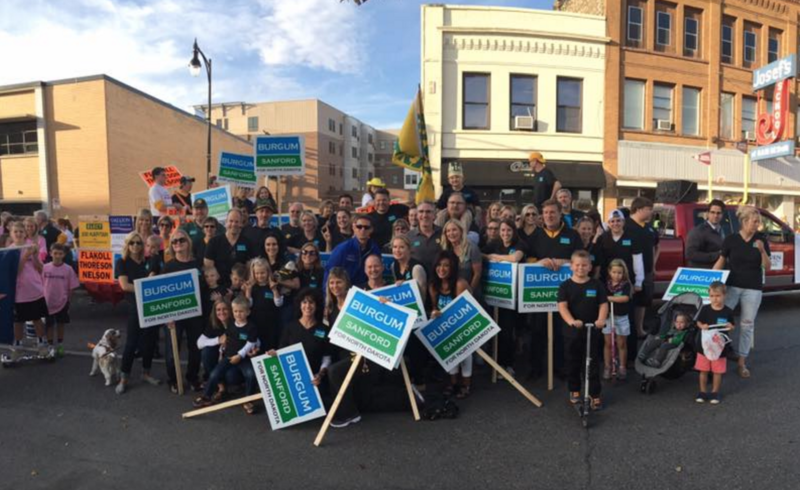 It was an exciting week for the Burgum Sanford campaign. 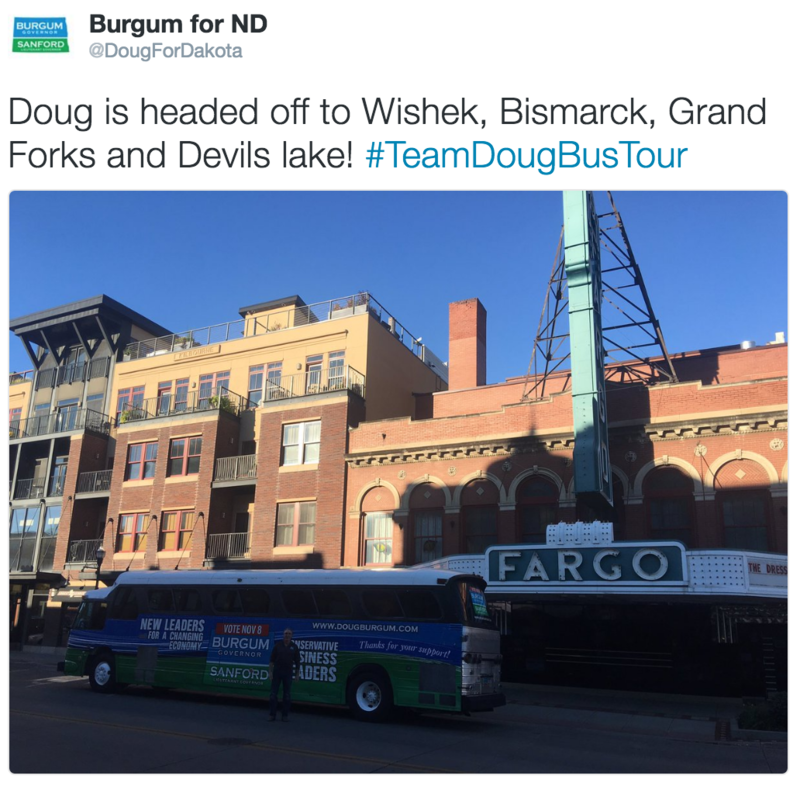 As we look forward to next week, Doug and Brent will continue to travel across North Dakota by meeting with voters in Bismarck, Fargo and Grand Forks. 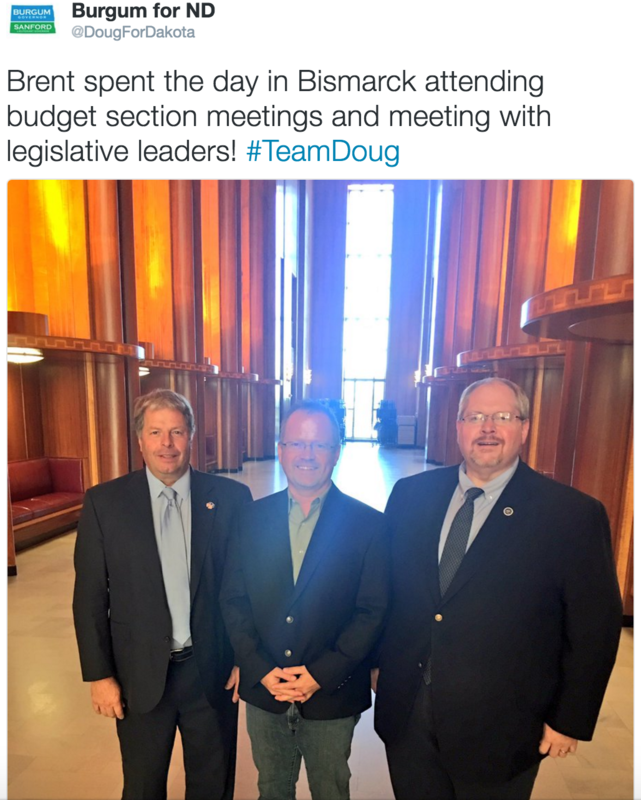 Below are some of the events that Doug and Brent are scheduled to attend and speak at next week. 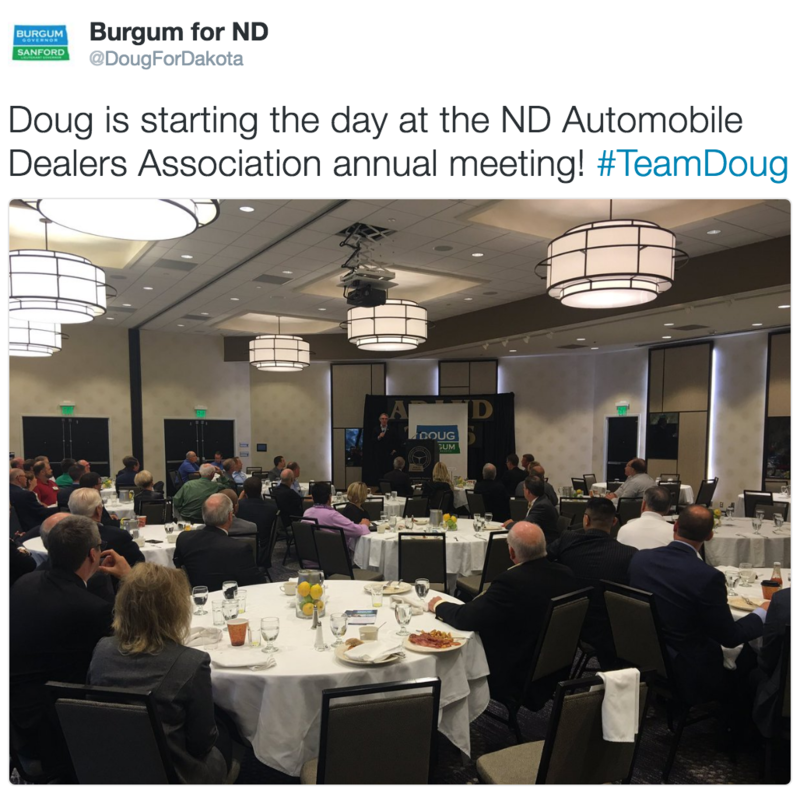 On Monday, September 12: North Dakota Auto Dealers Convention in Fargo. 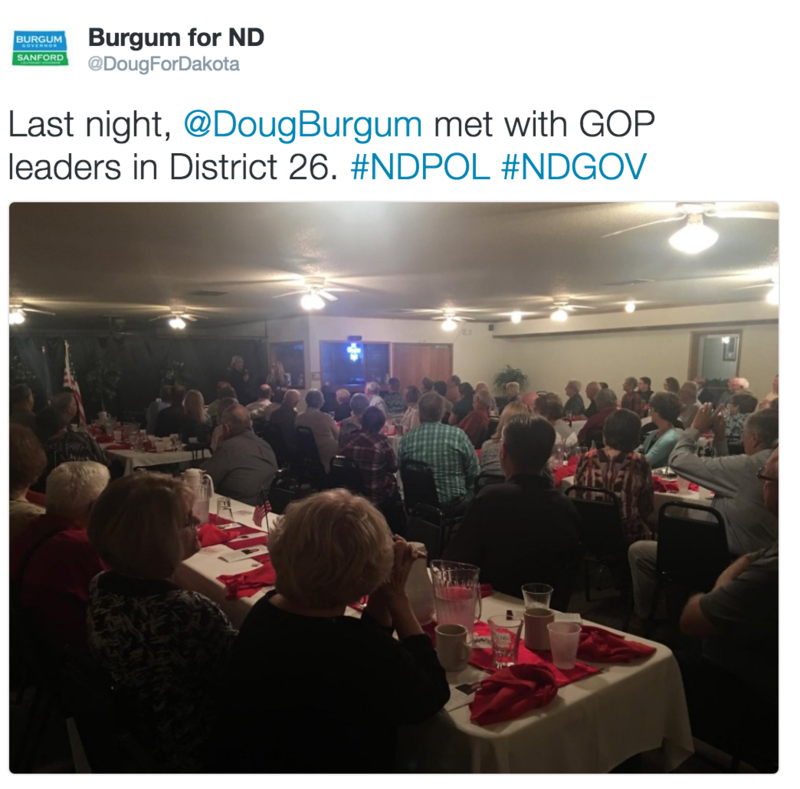 On Tuesday, September 13: North Dakota GOP Chairman’s lunch in Bismarck. 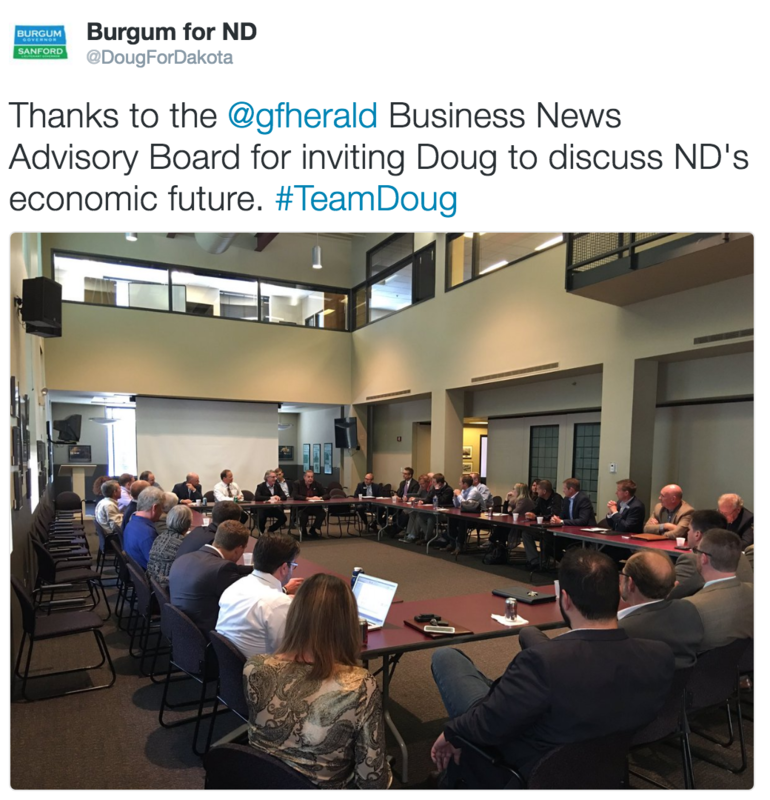 On Wednesday, September 14: Grand Forks Business Advisory Board meeting in Grand Forks. 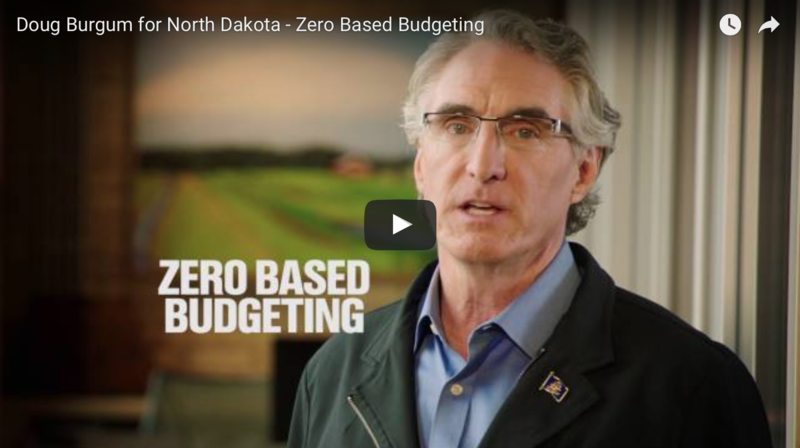 On Friday, September 16: North Dakota League of Cities in Bismarck. 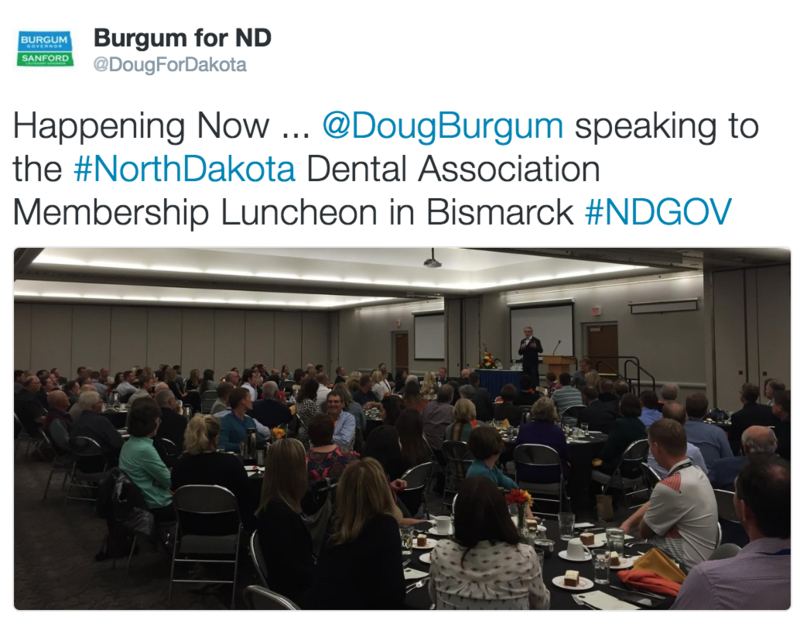 On Friday, September 16: North Dakota Dental Association’s lunch in Bismarck.